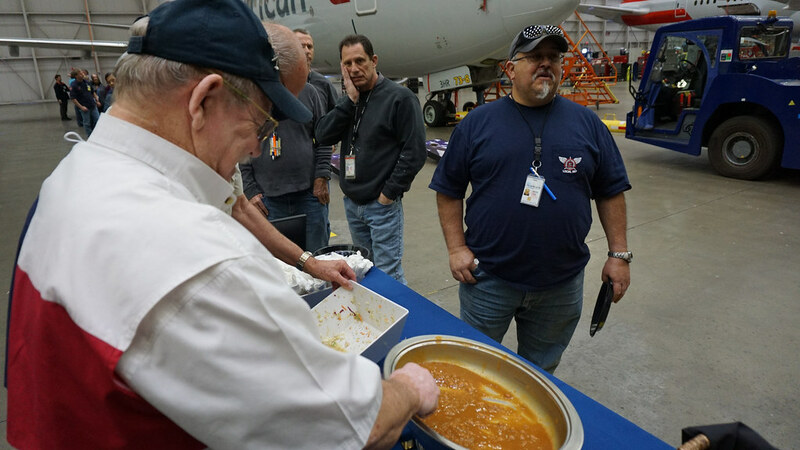 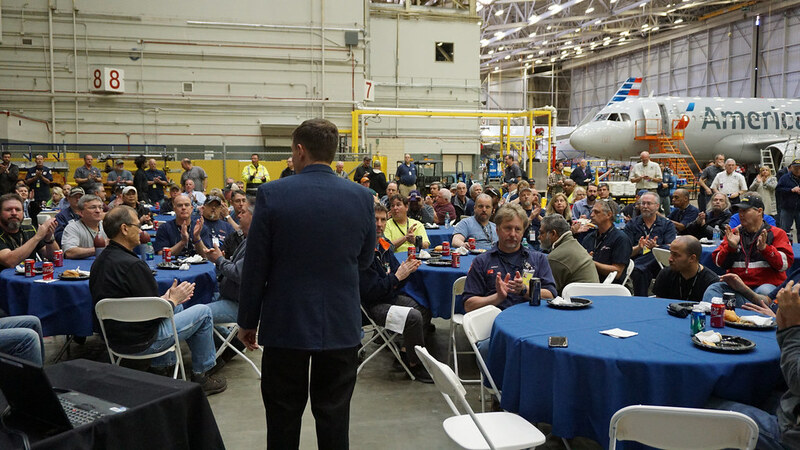 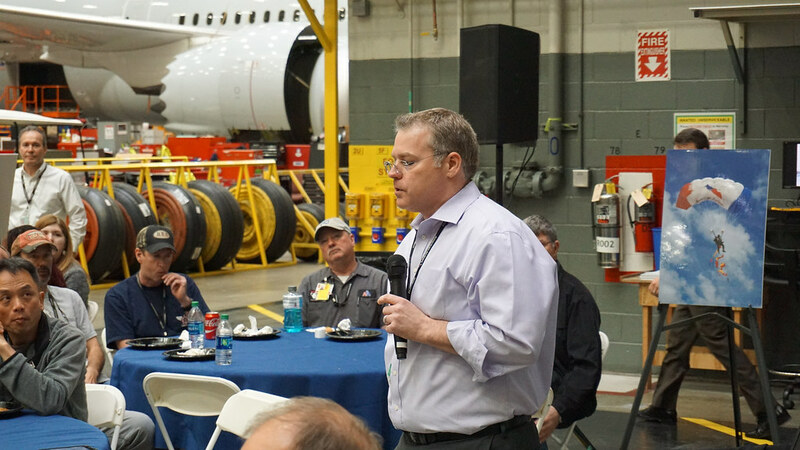 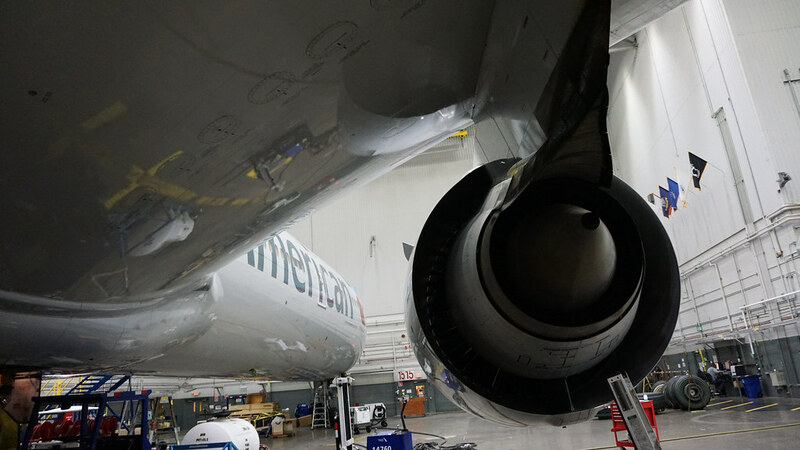 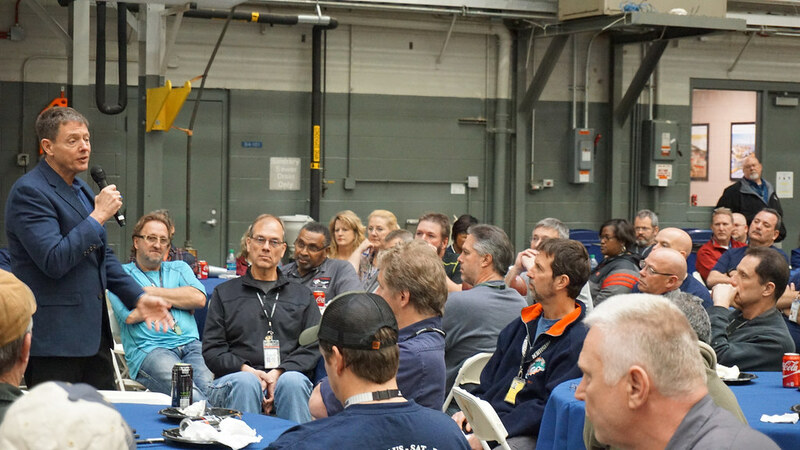 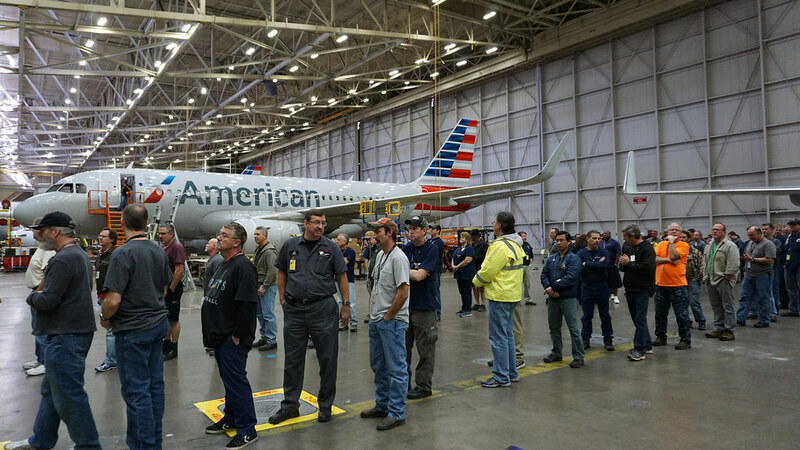 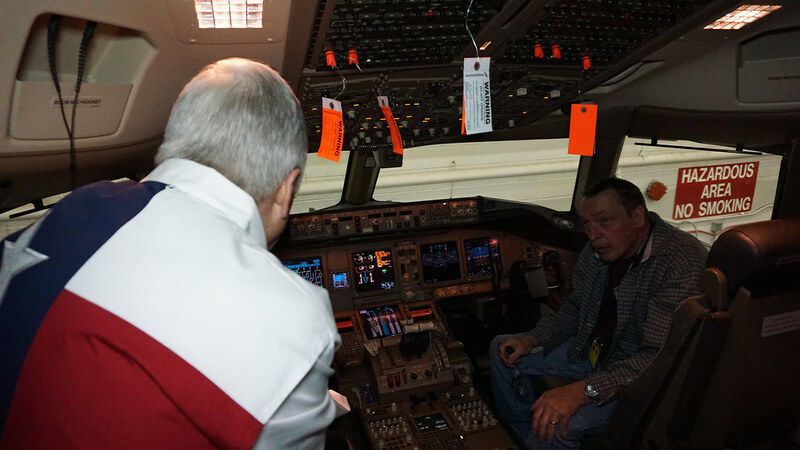 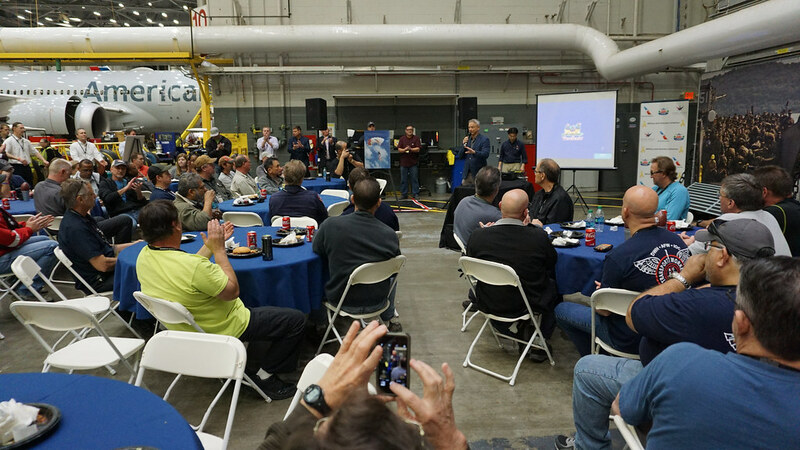 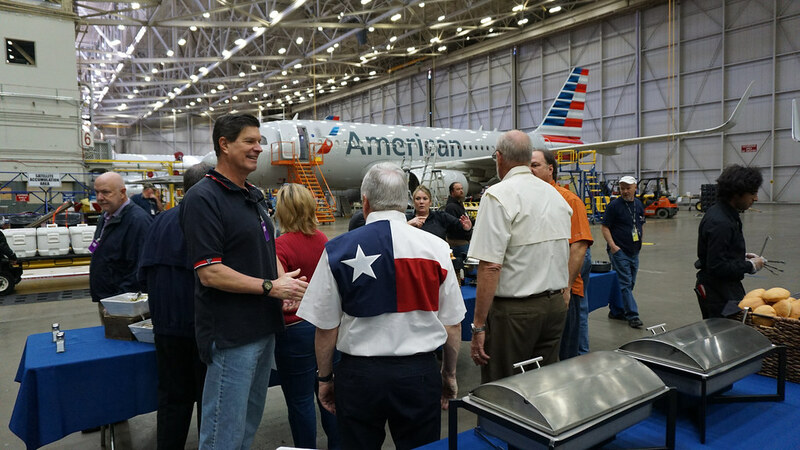 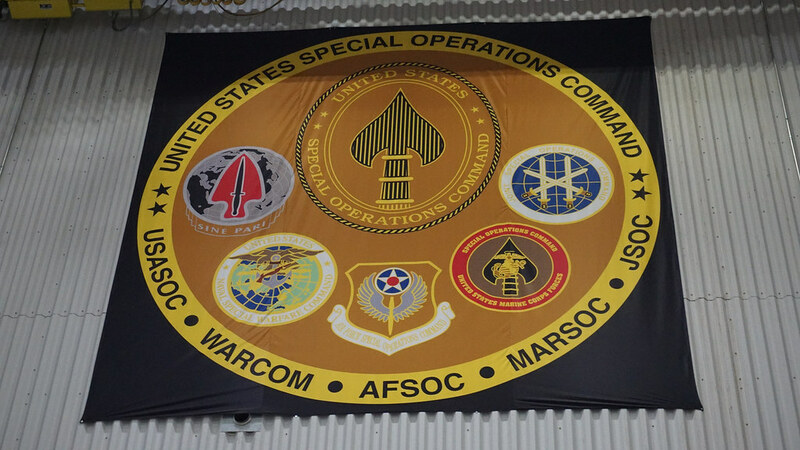 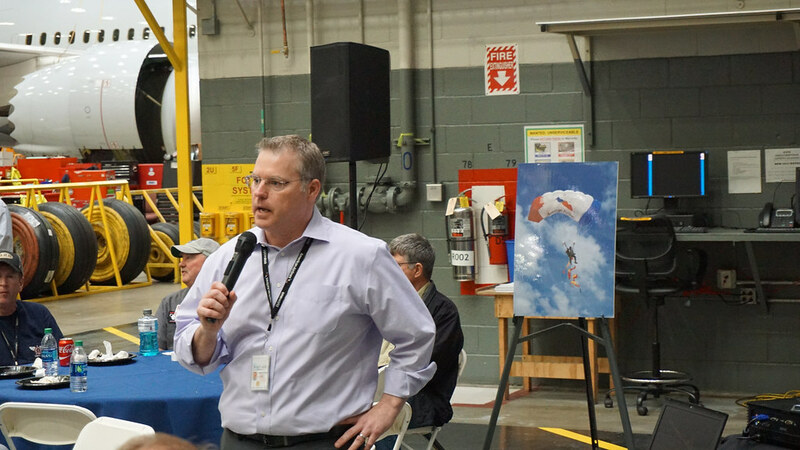 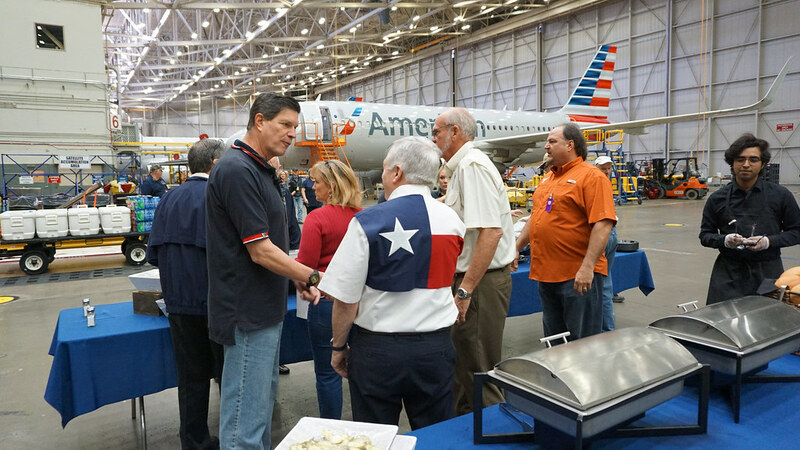 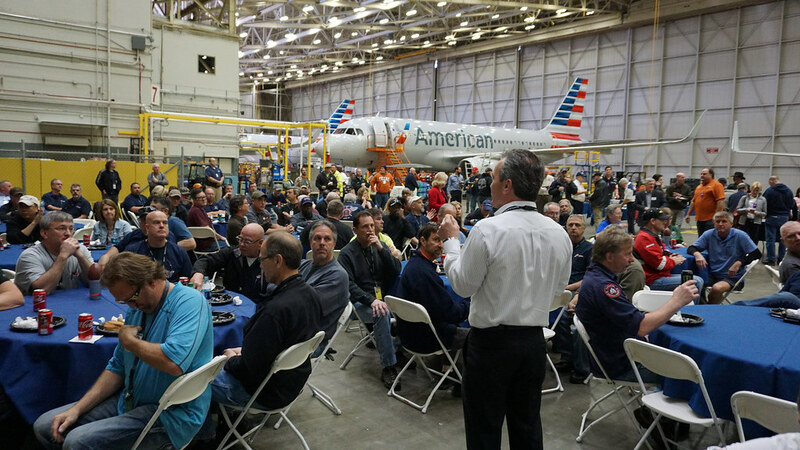 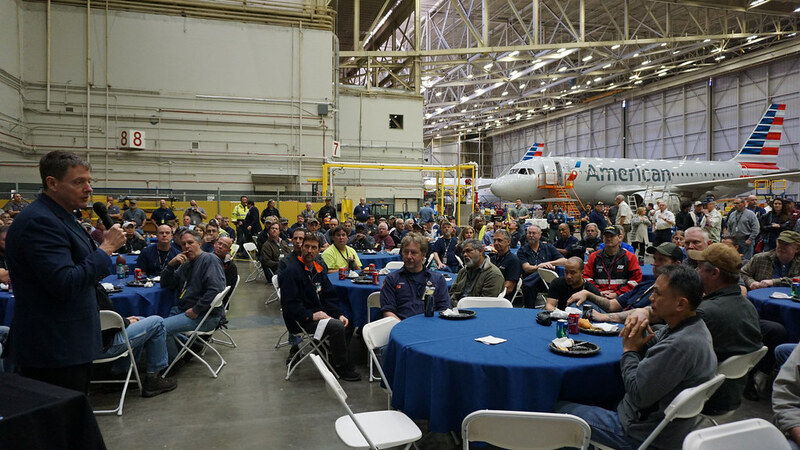 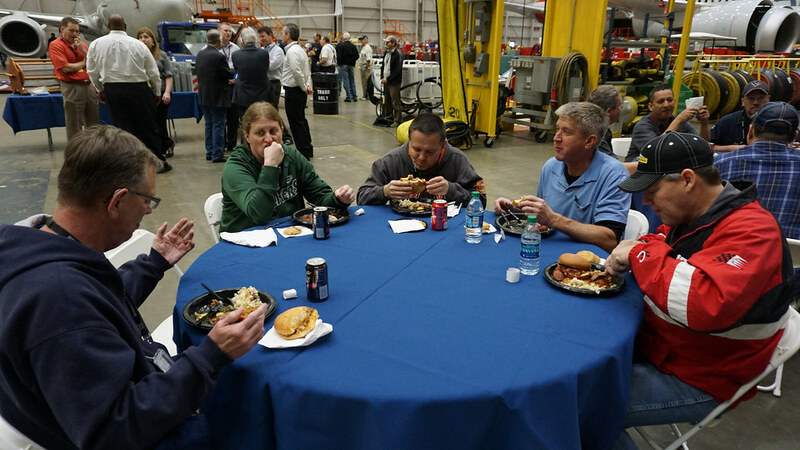 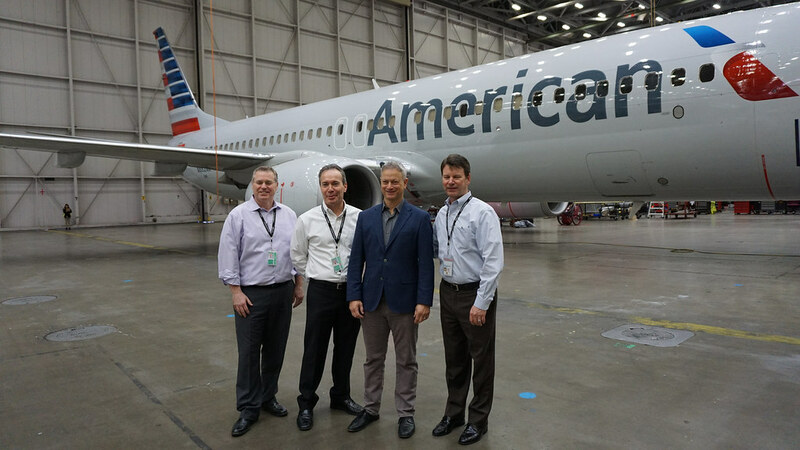 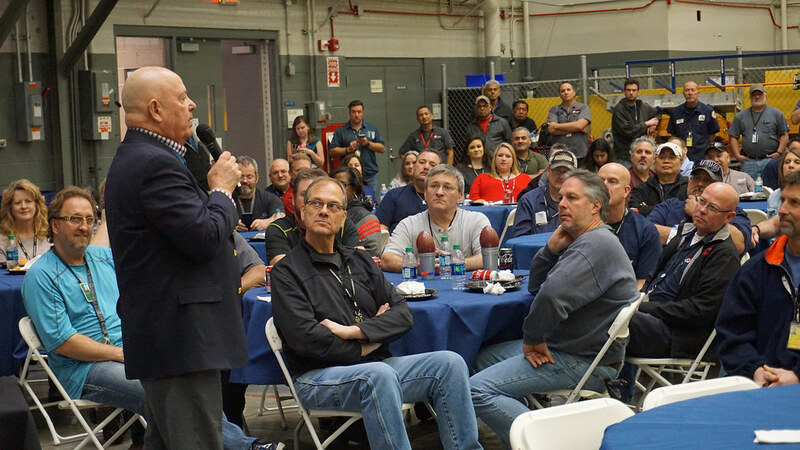 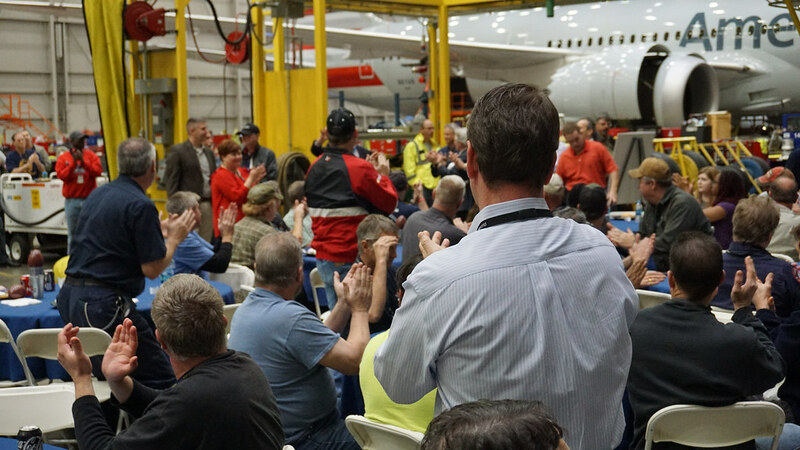 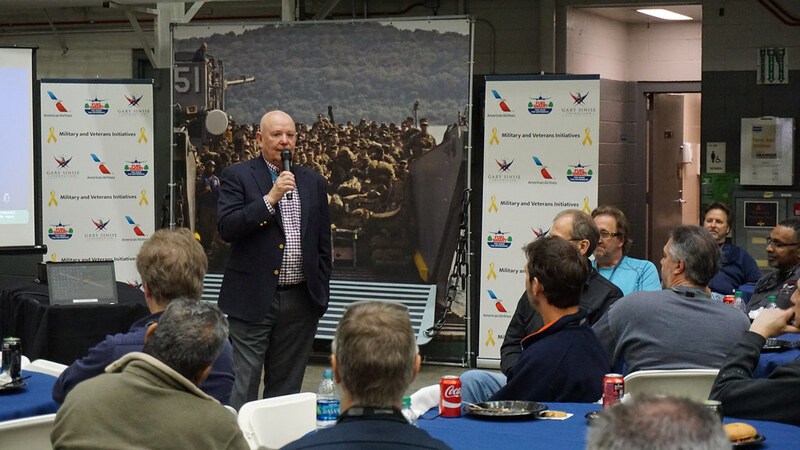 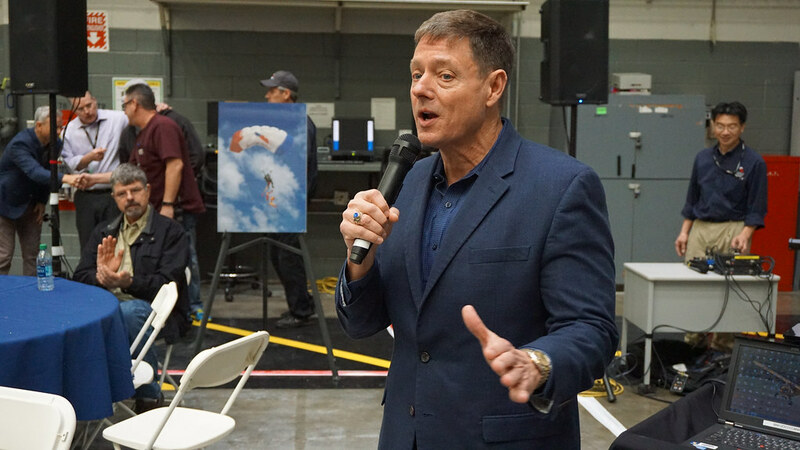 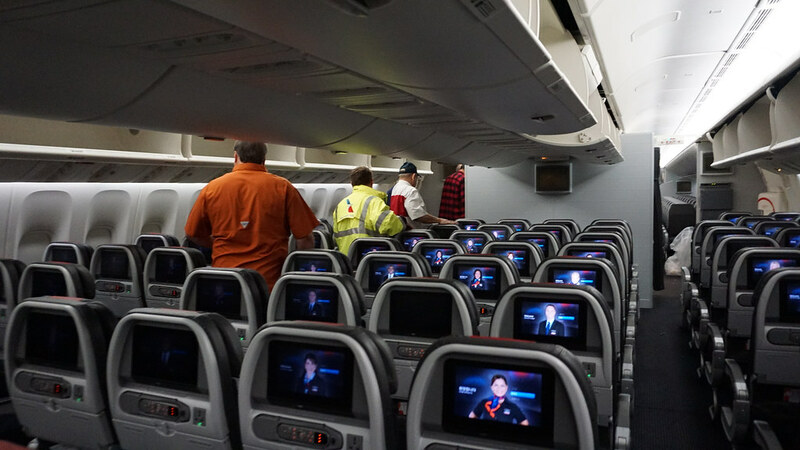 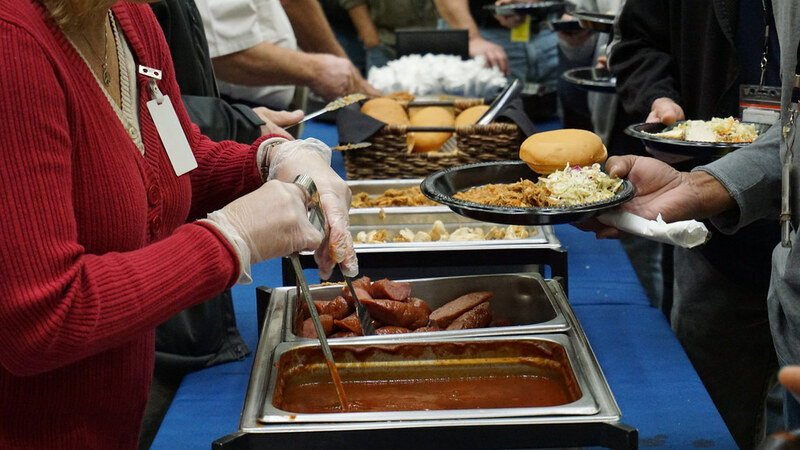 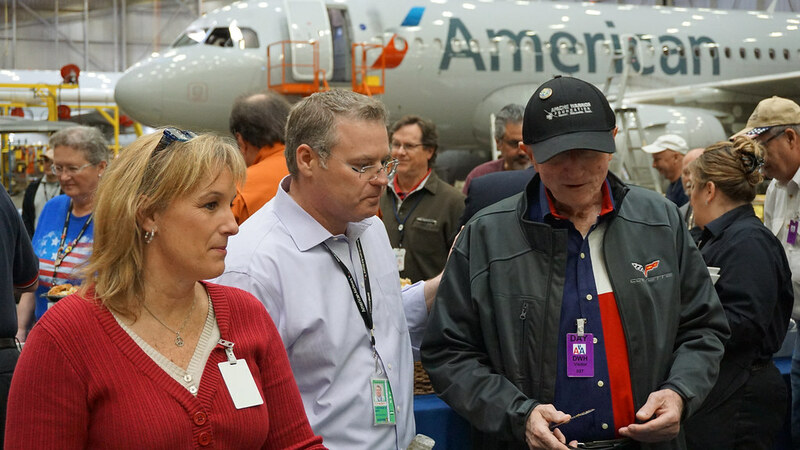 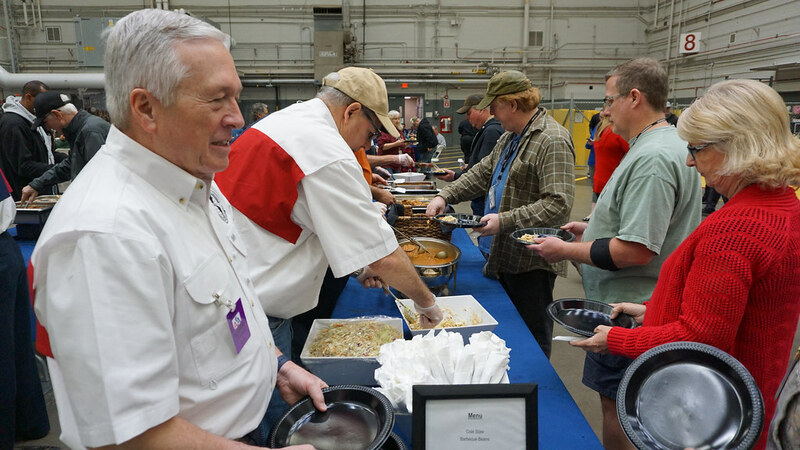 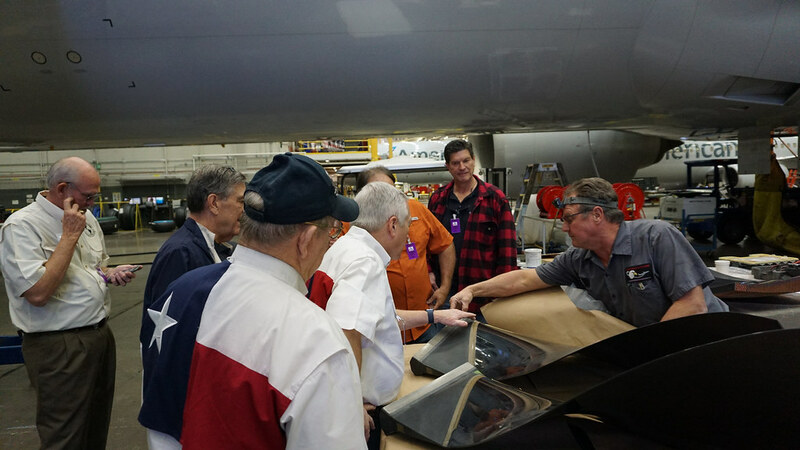 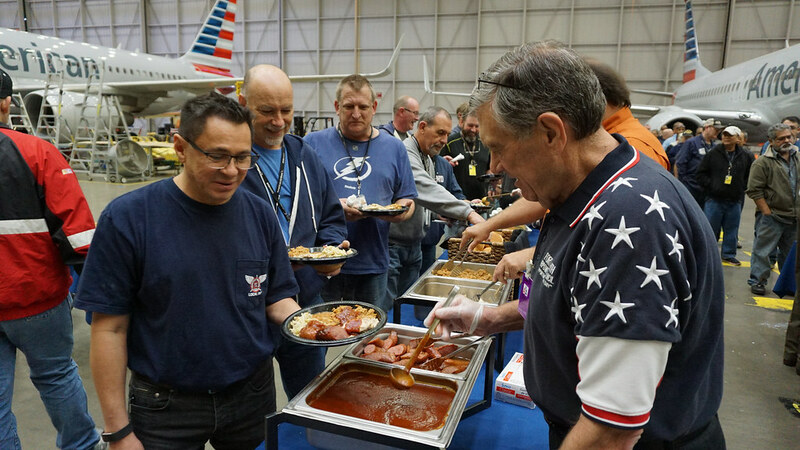 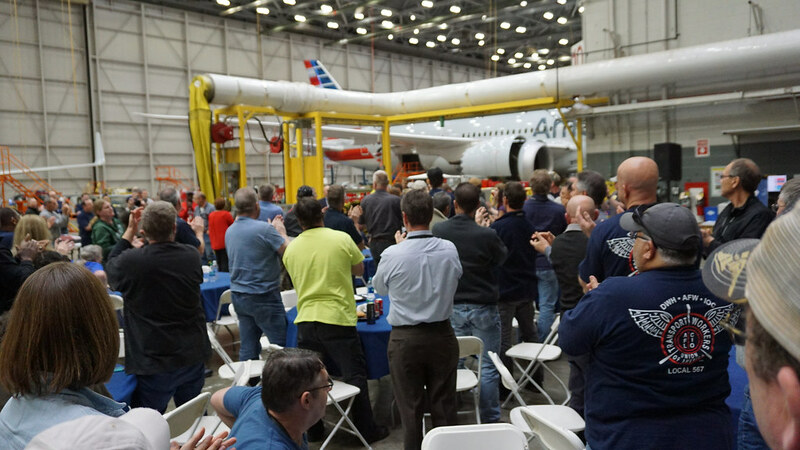 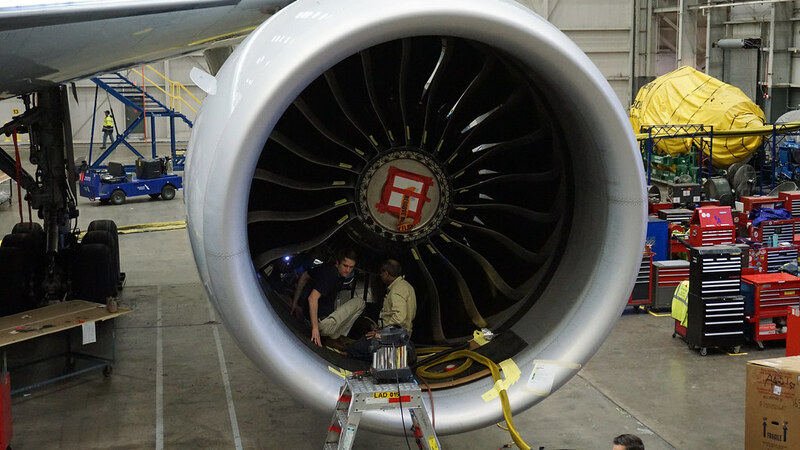 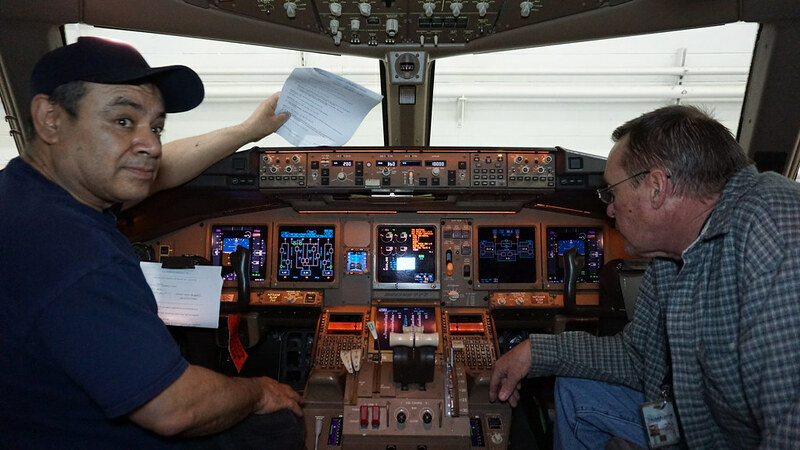 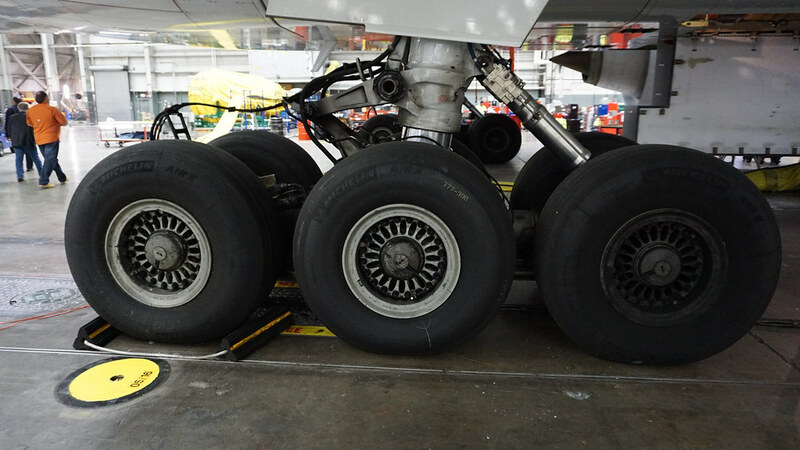 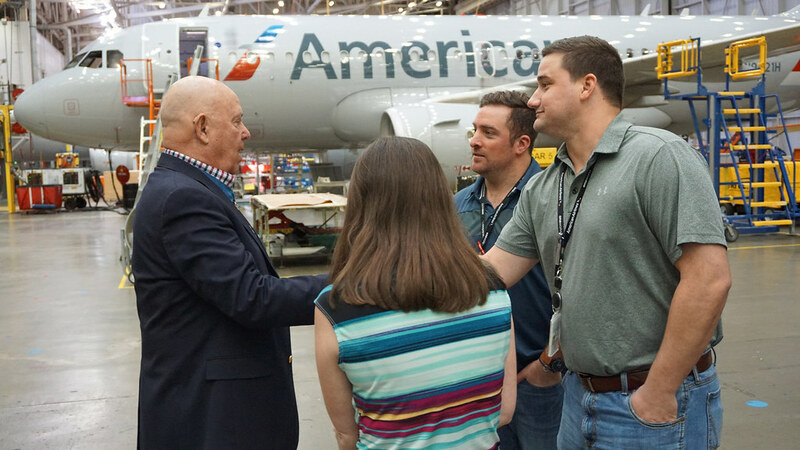 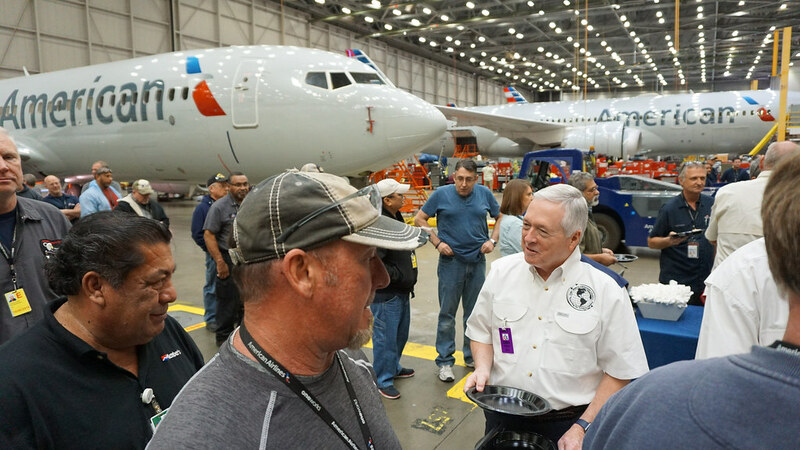 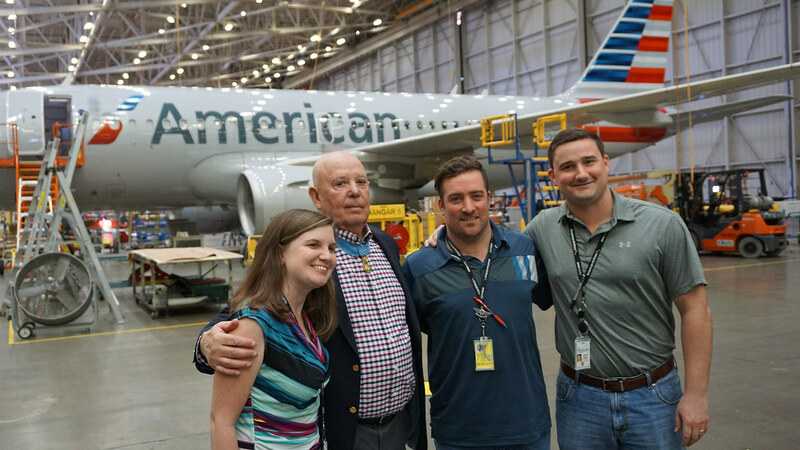 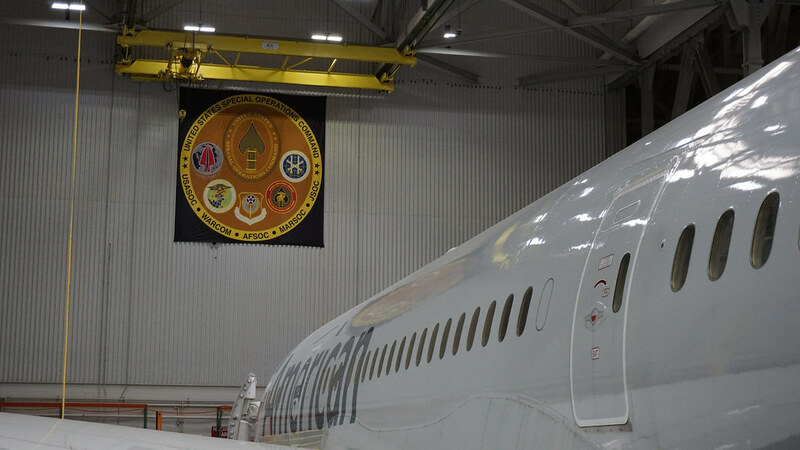 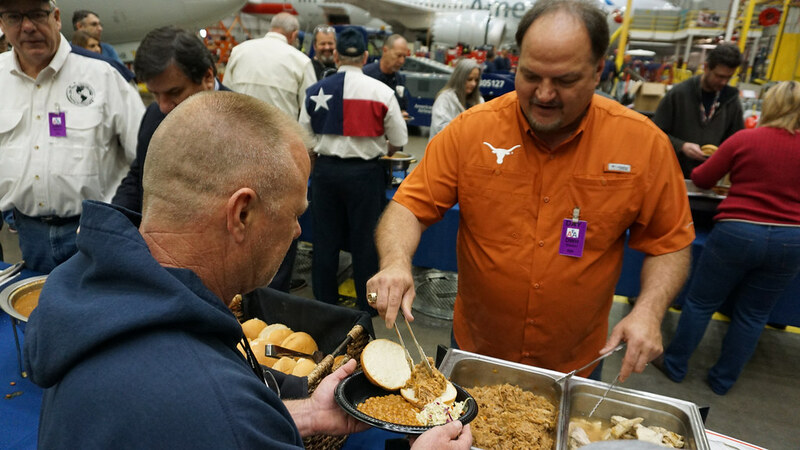 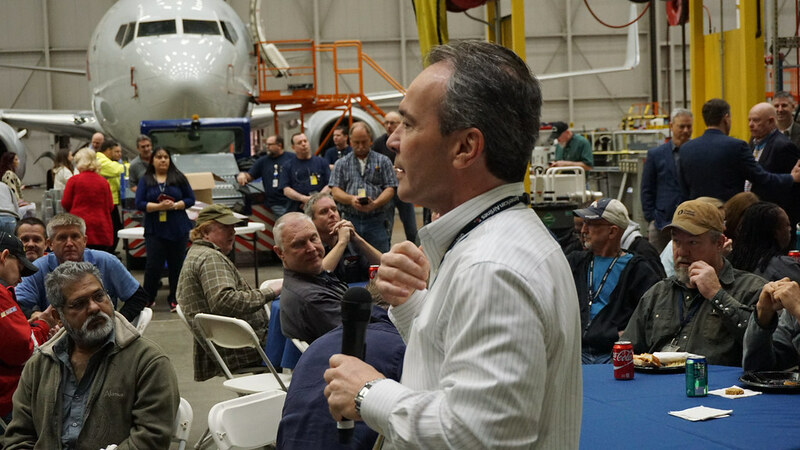 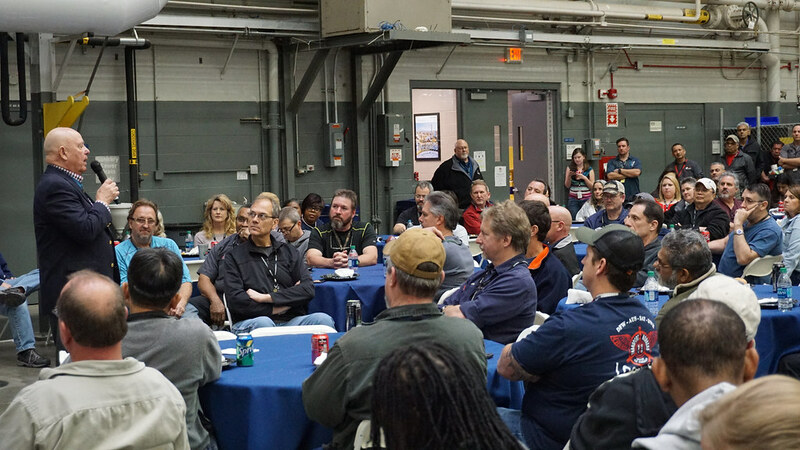 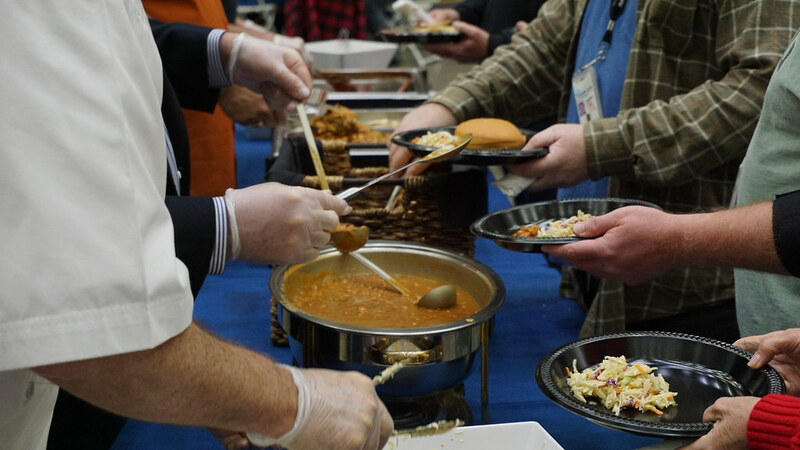 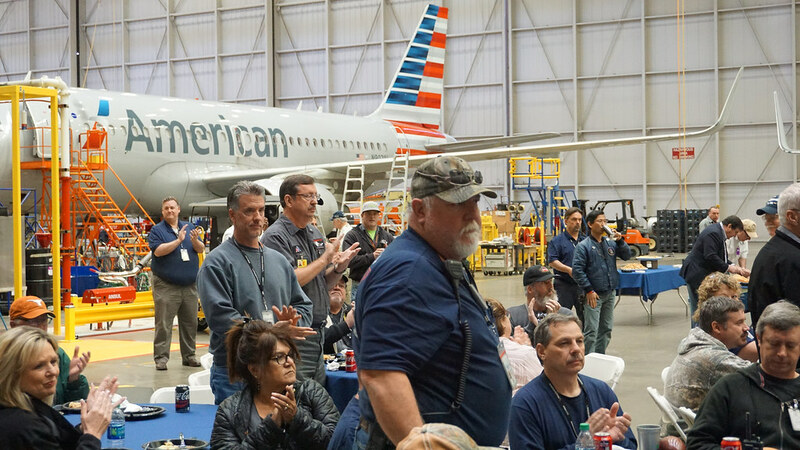 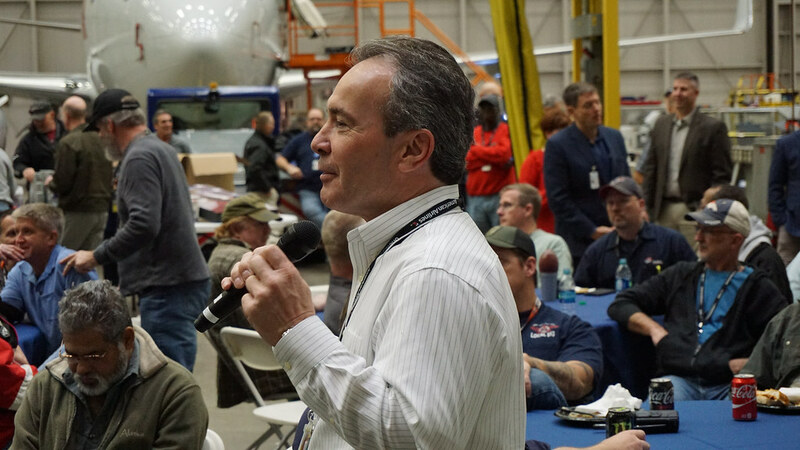 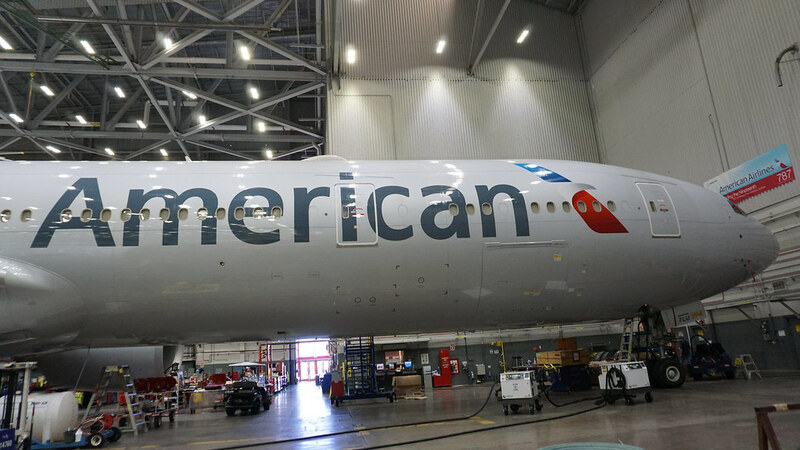 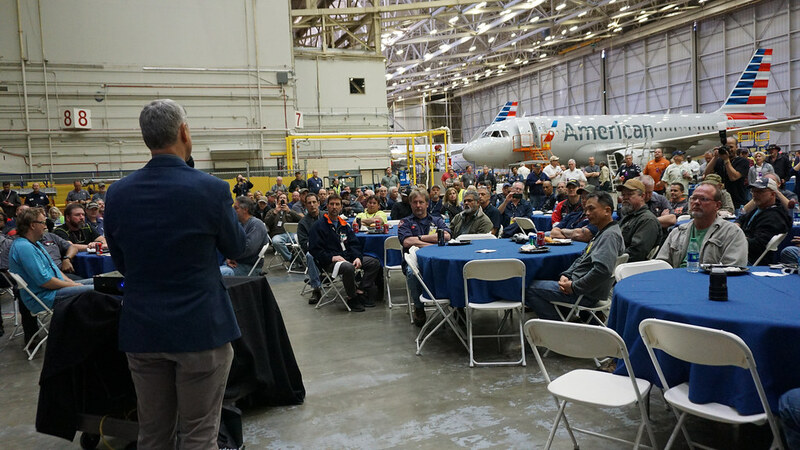 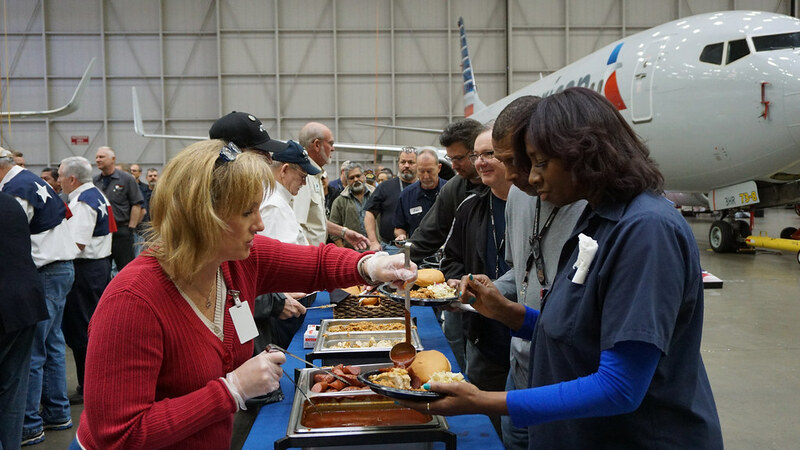 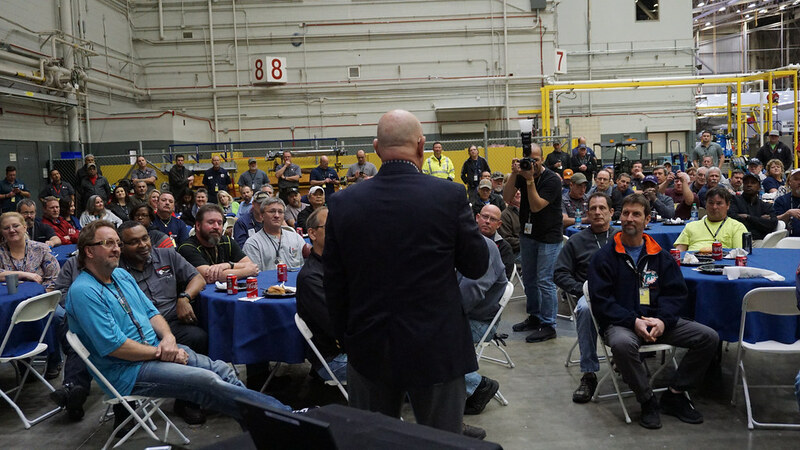 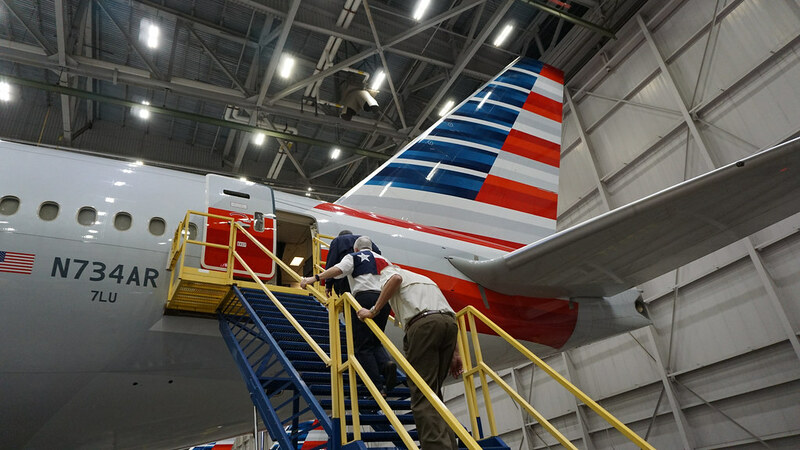 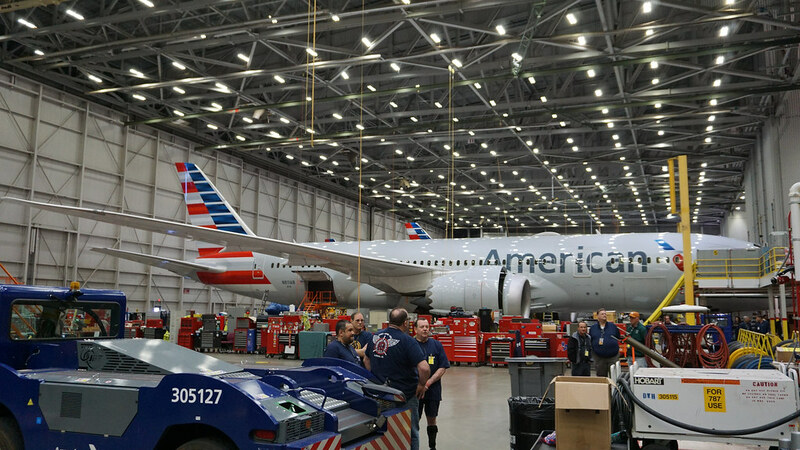 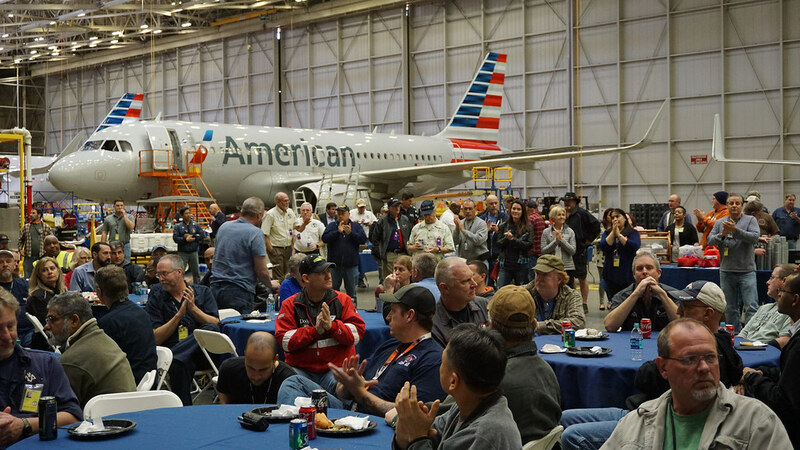 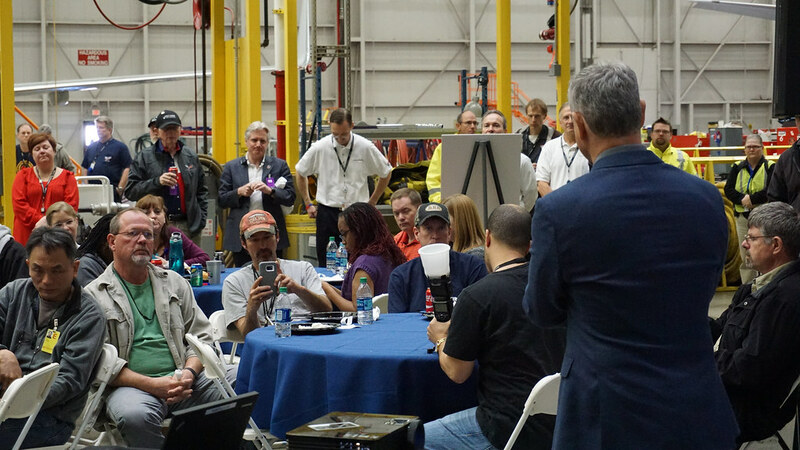 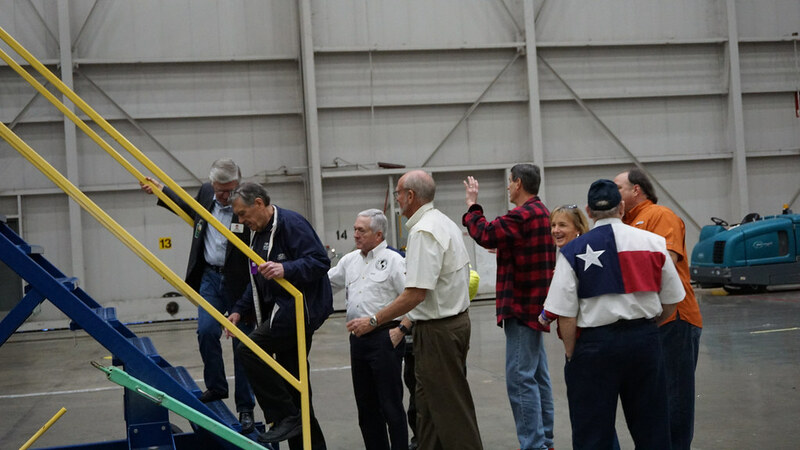 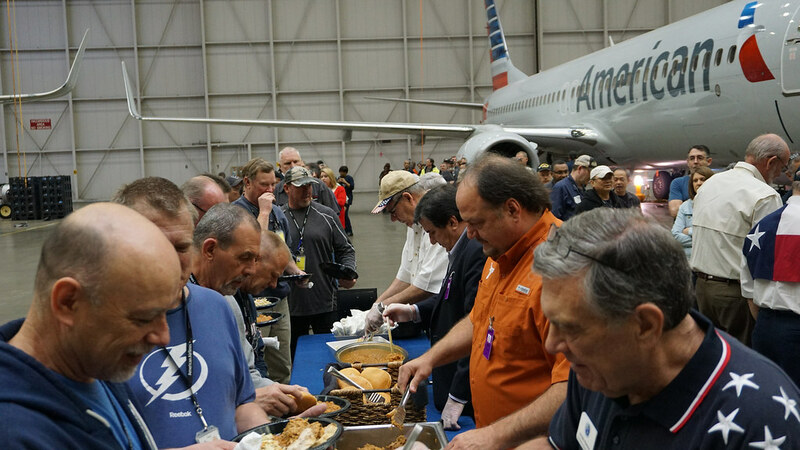 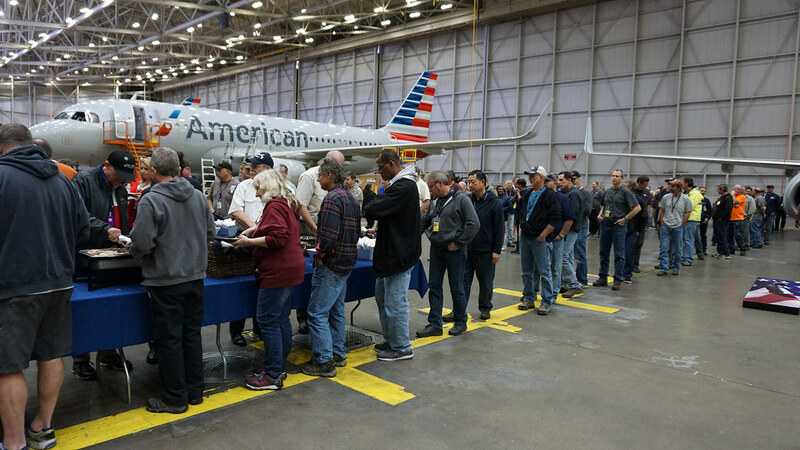 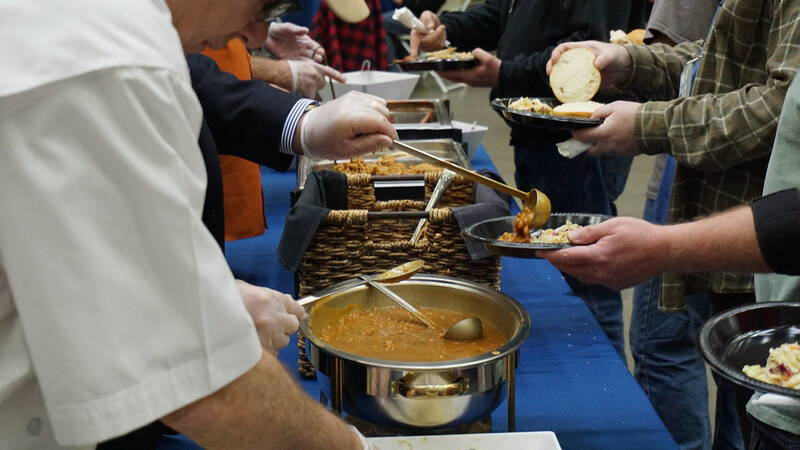 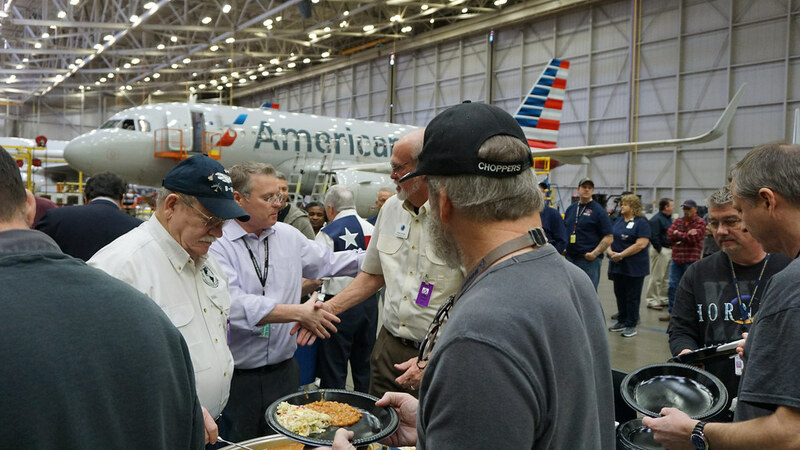 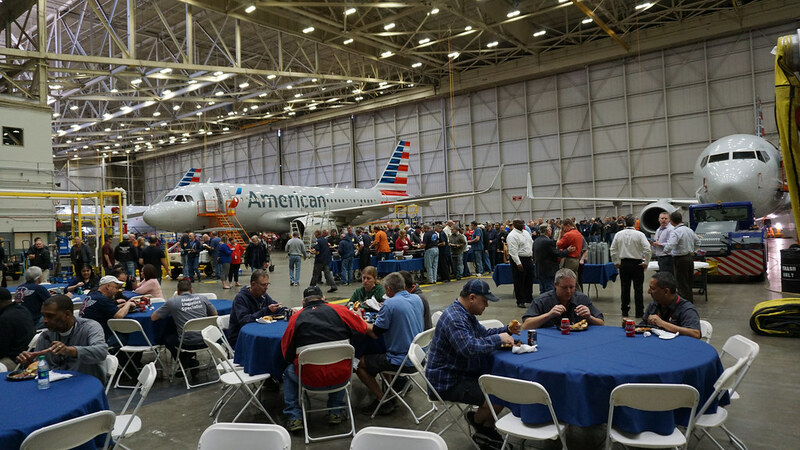 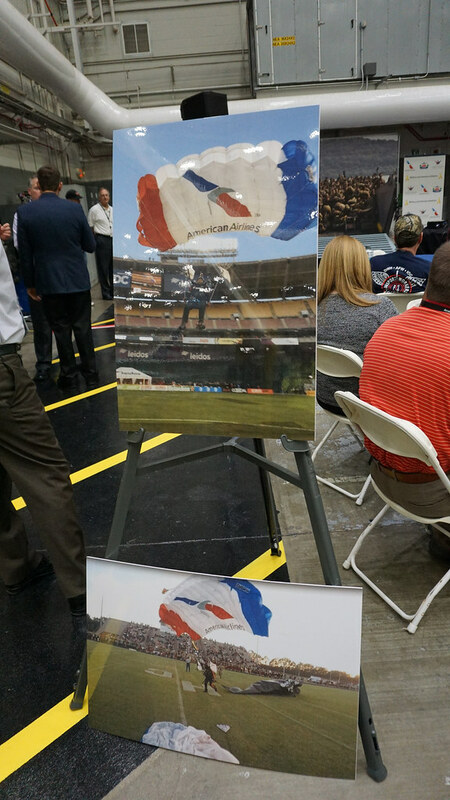 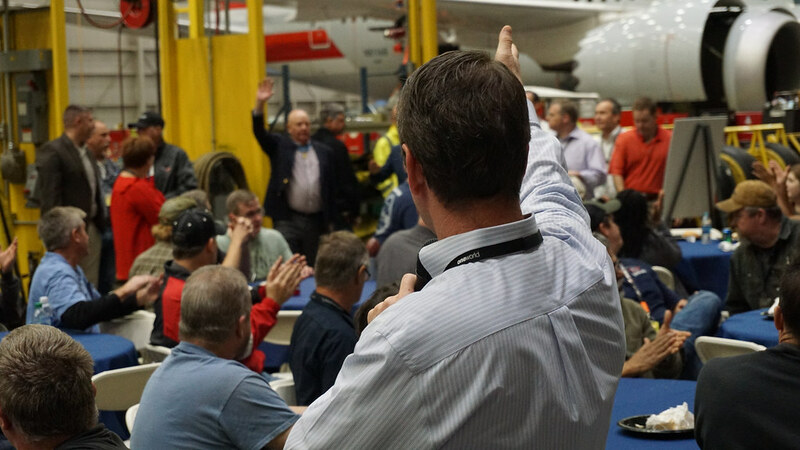 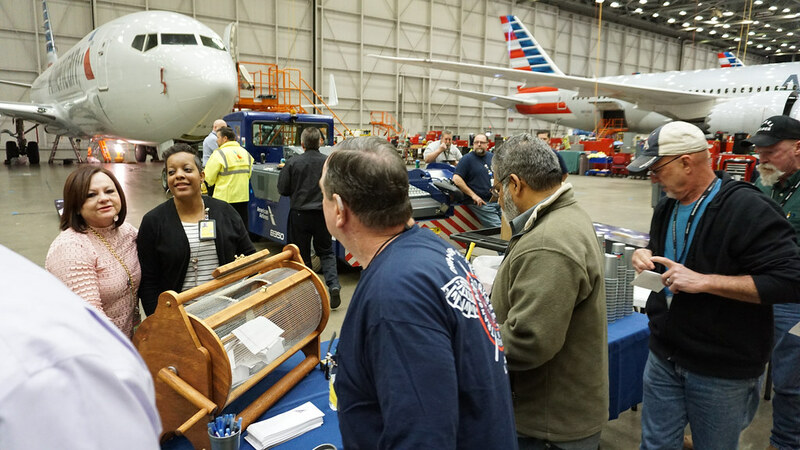 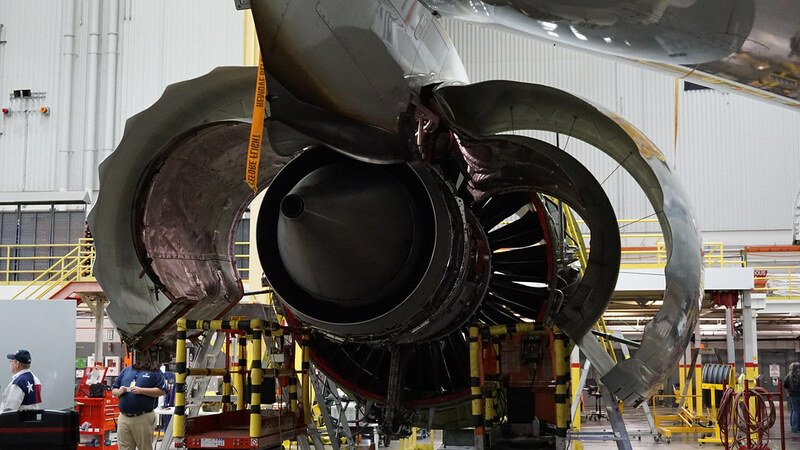 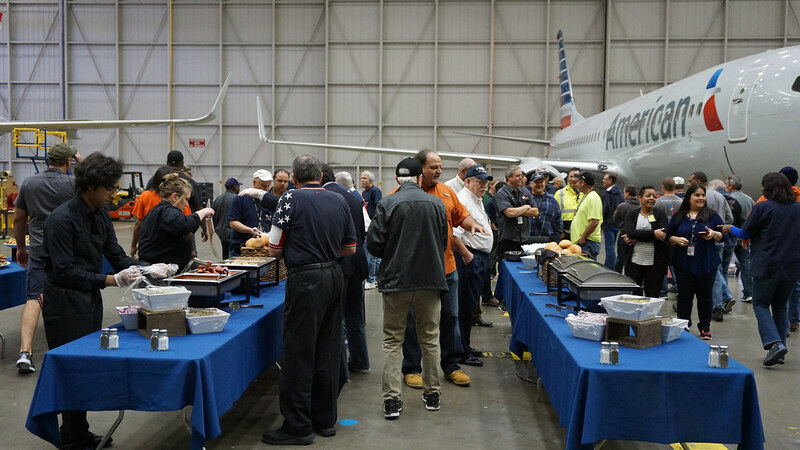 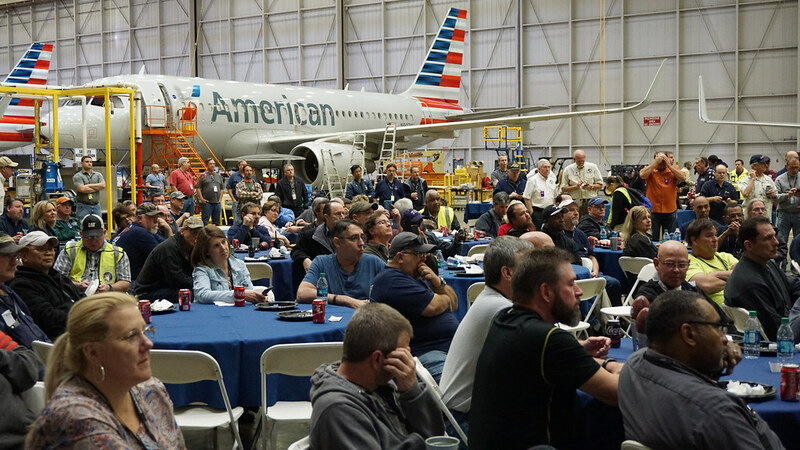 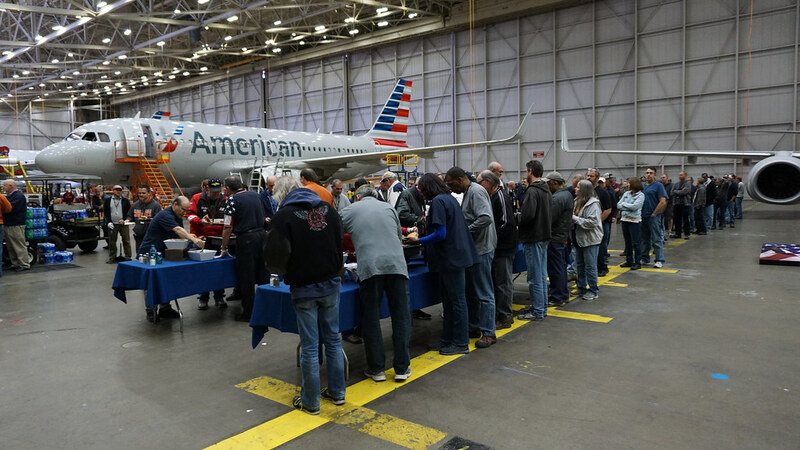 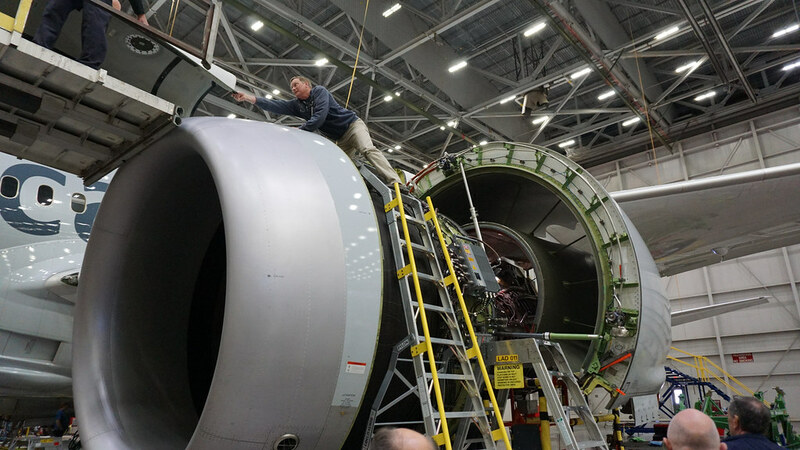 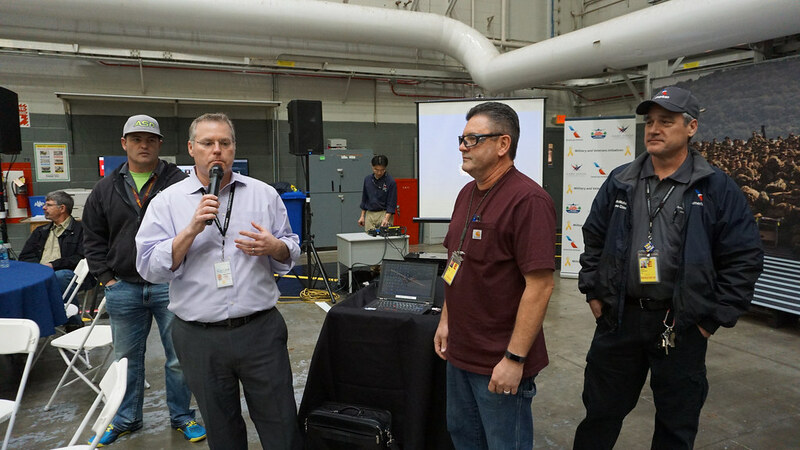 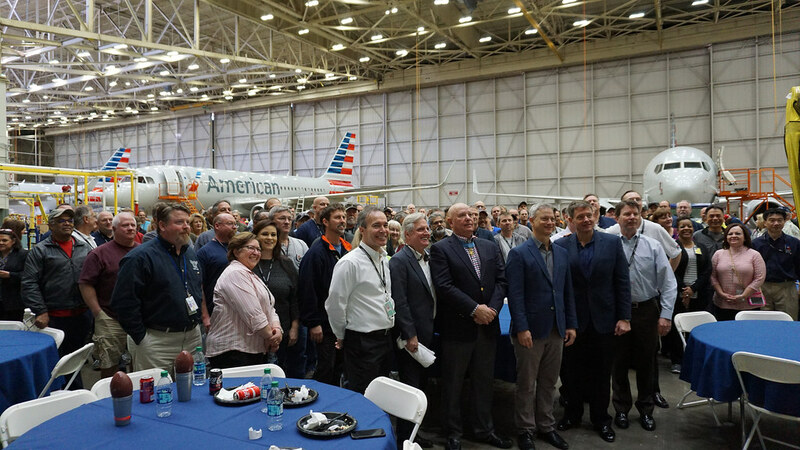 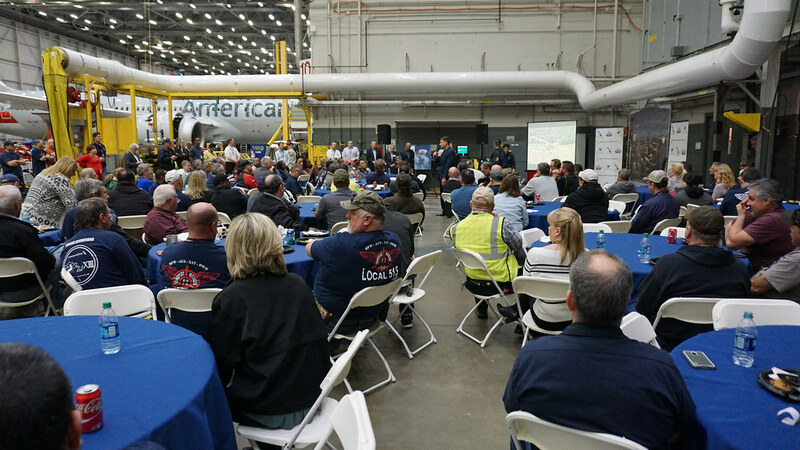 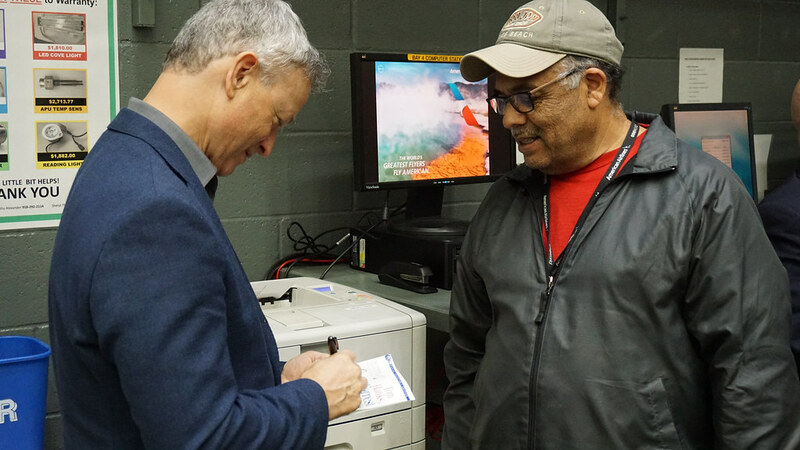 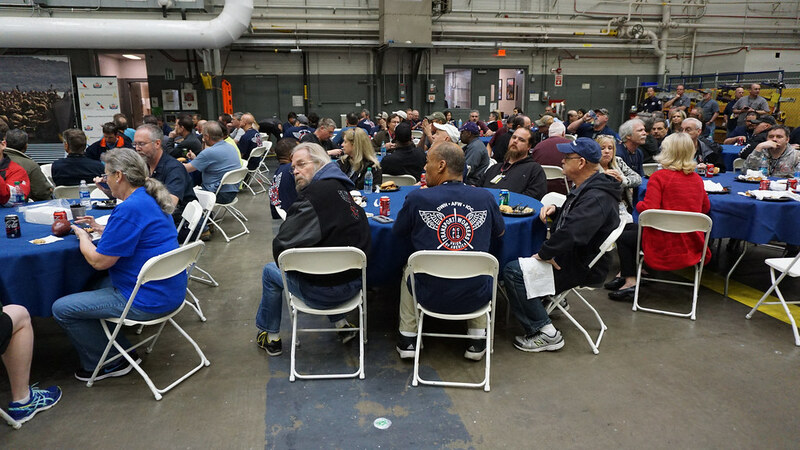 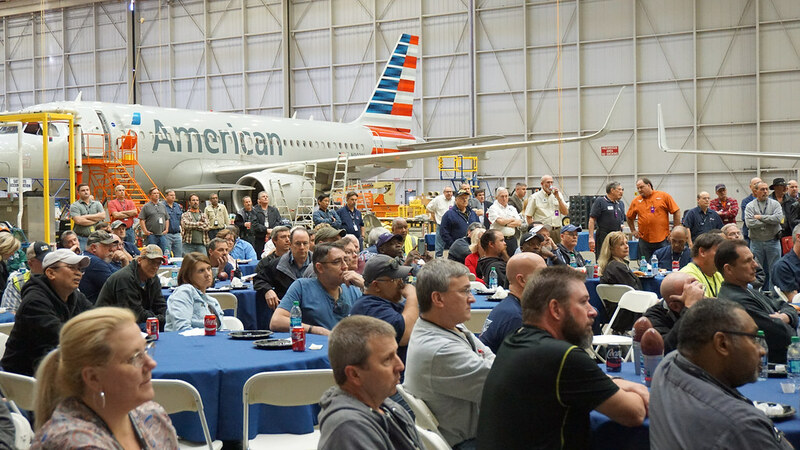 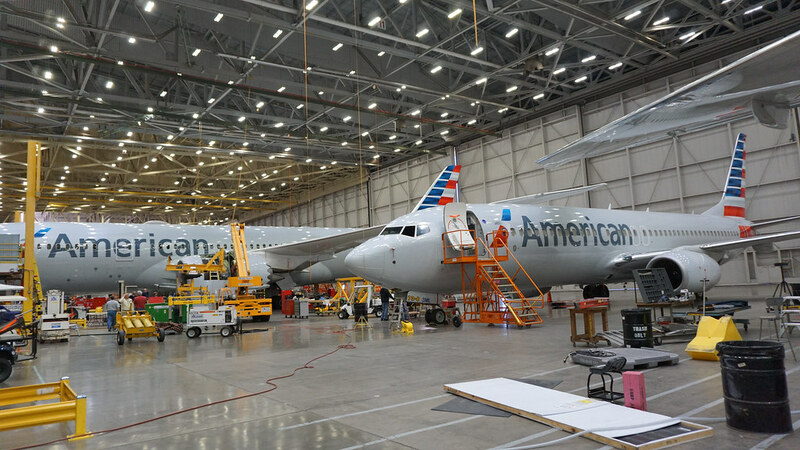 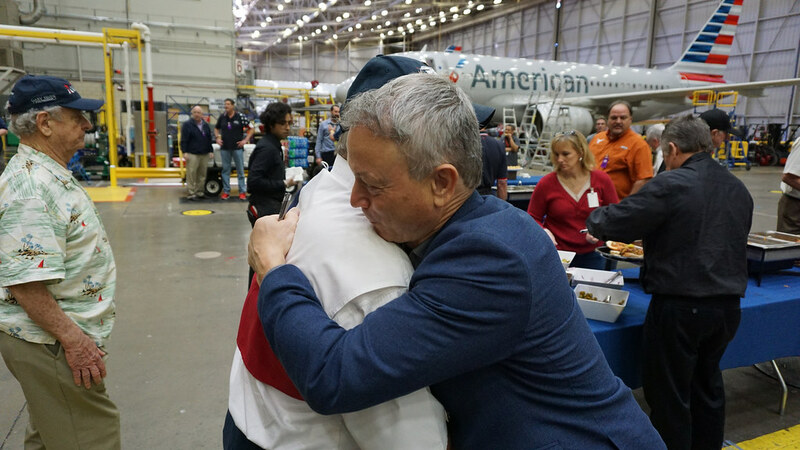 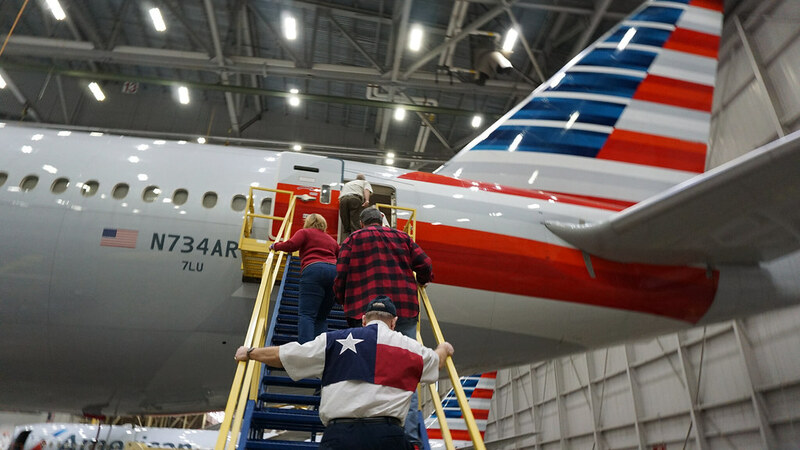 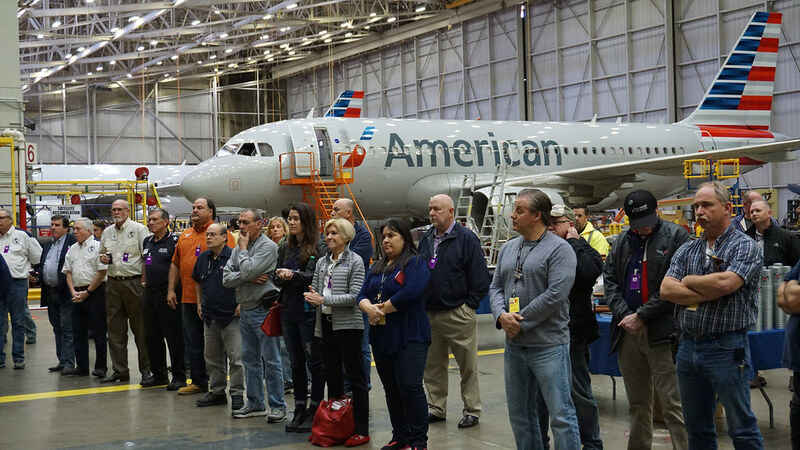 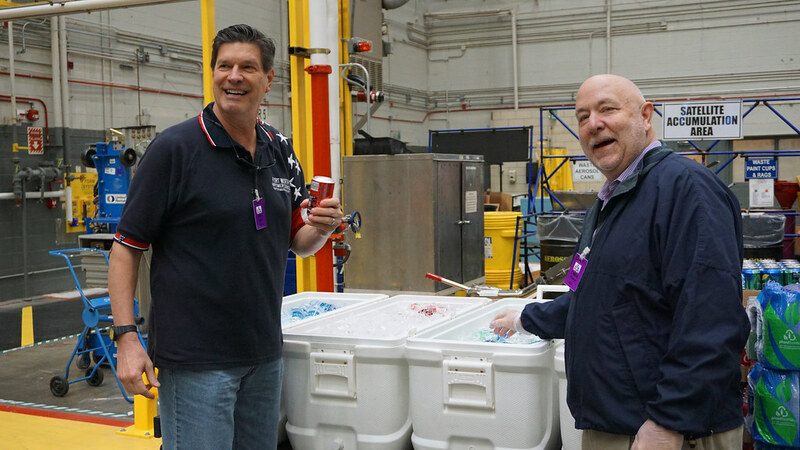 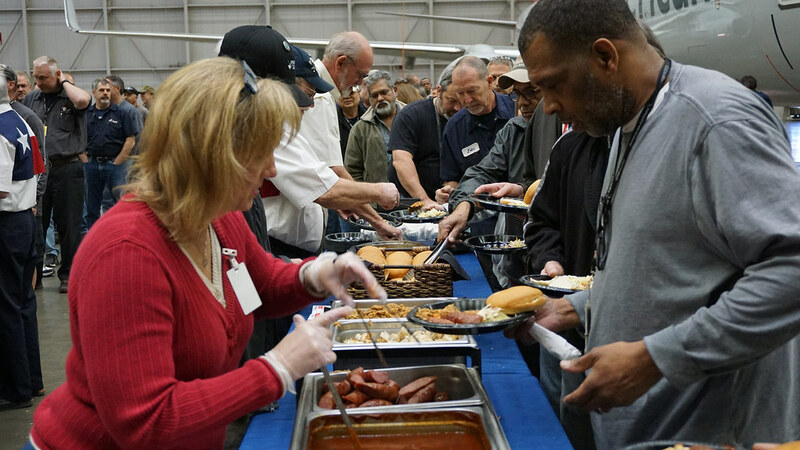 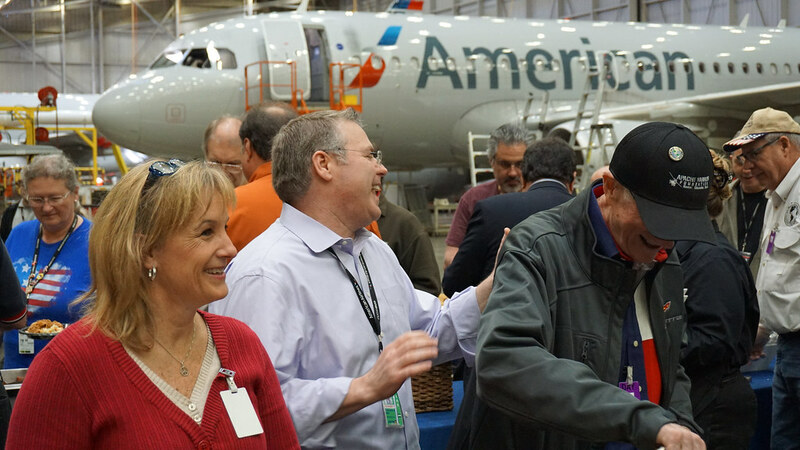 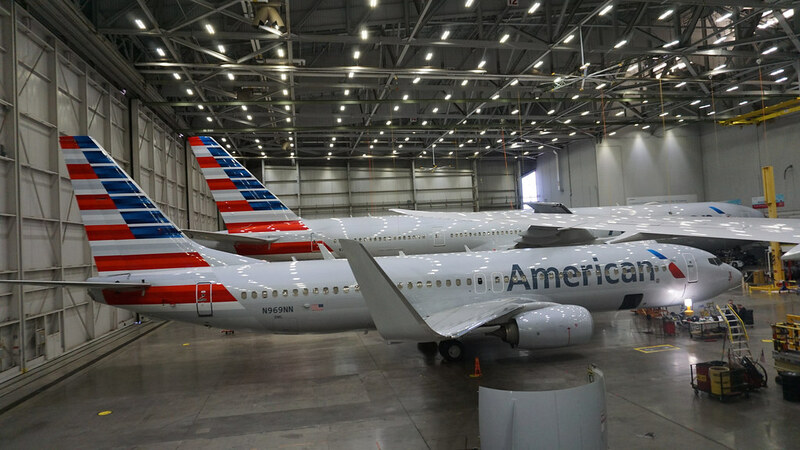 On March 1st, 2017, The Airpower Foundation hosted a special BBQ meal for all three shifts for the employees of American Airlines Hangar #5, the home of Sky Ball. 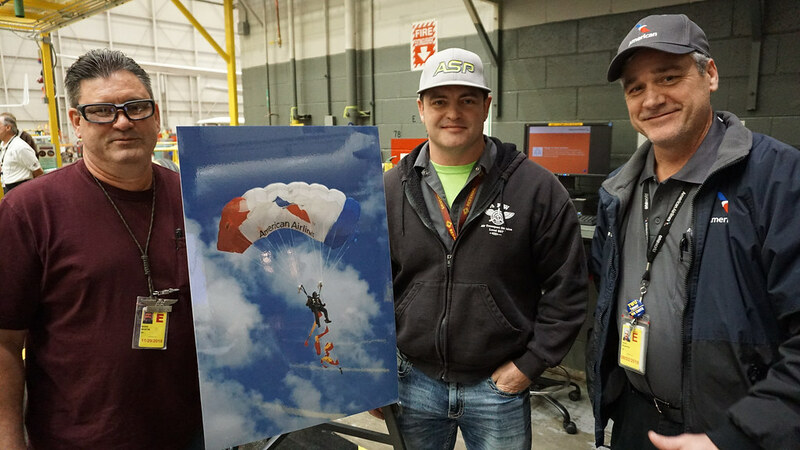 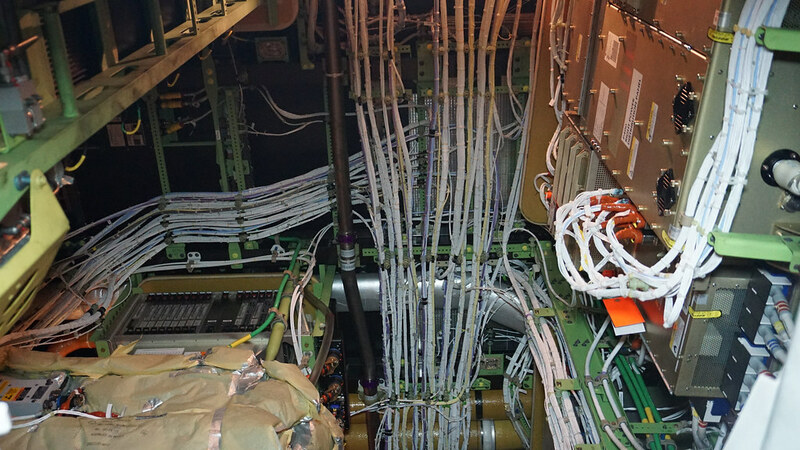 Because of the incredible support of the hangar staff we are able to host Sky Ball at the hangar while they take it out of service for an entire week to make it possible. 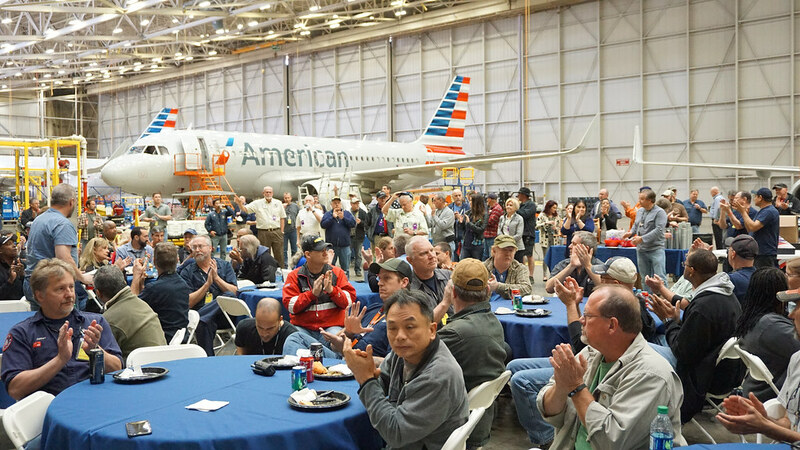 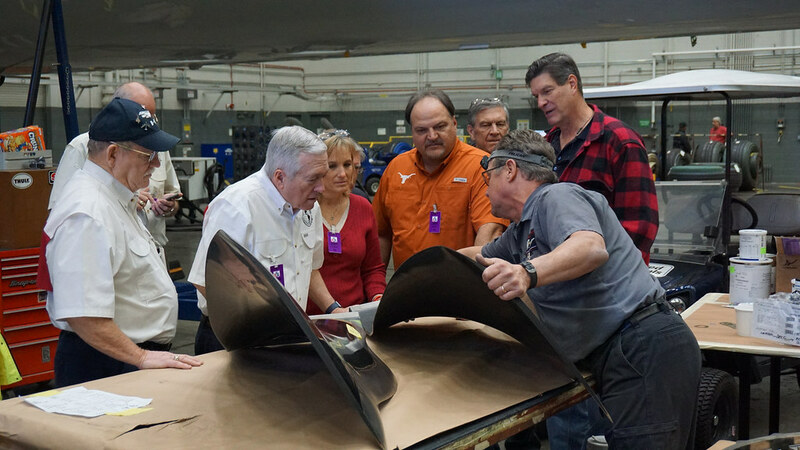 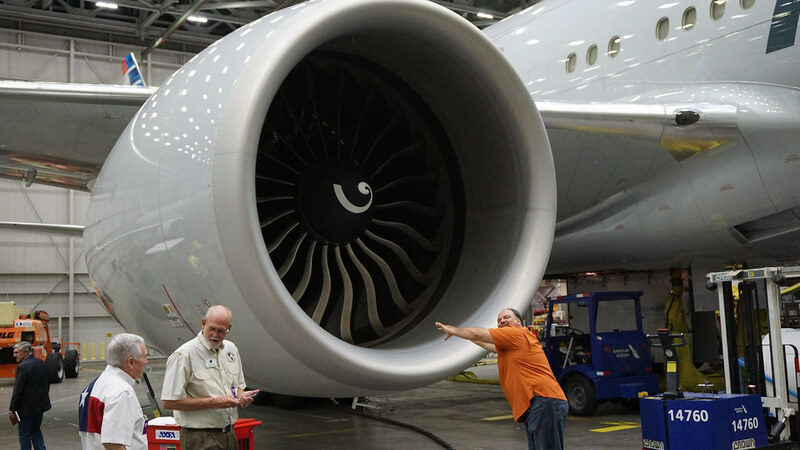 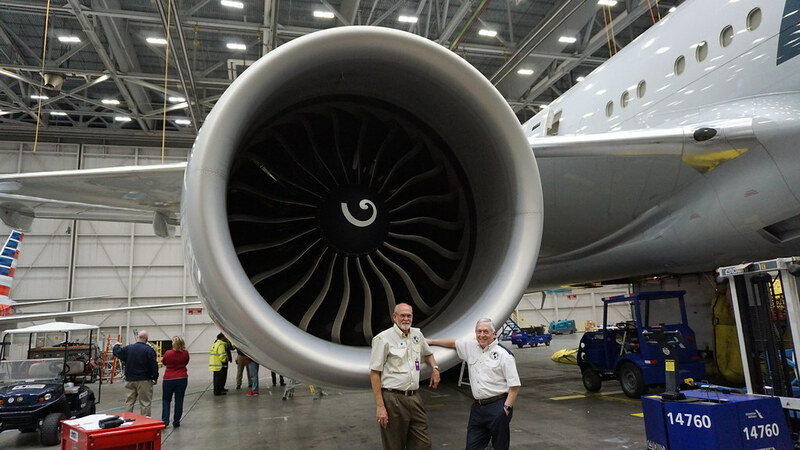 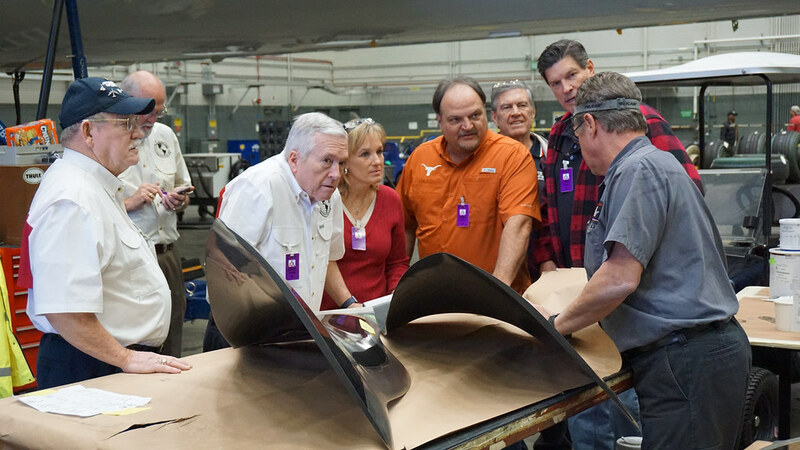 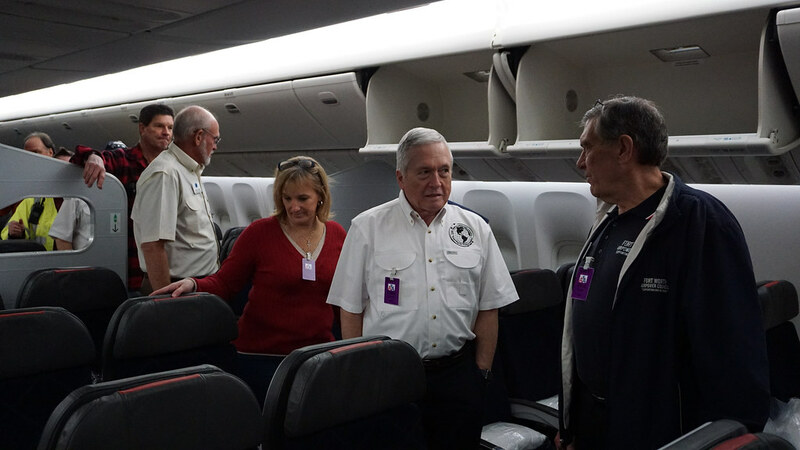 The Airpower Foundation sincerely thanks all the hangar employees for all they do to help make Sky Ball such a great success! 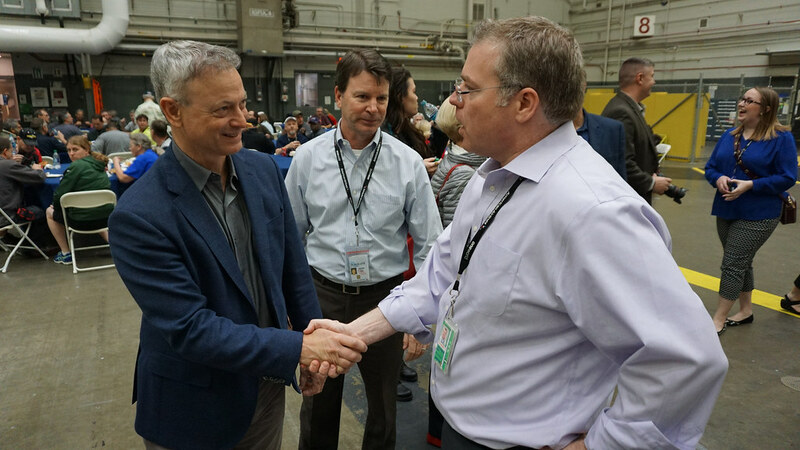 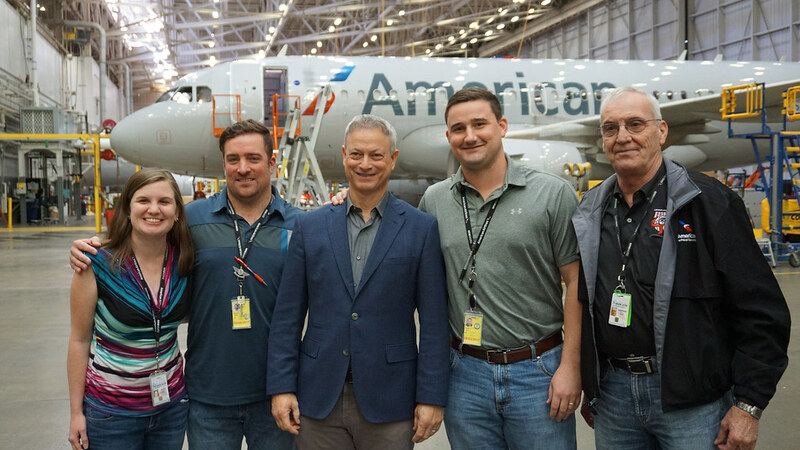 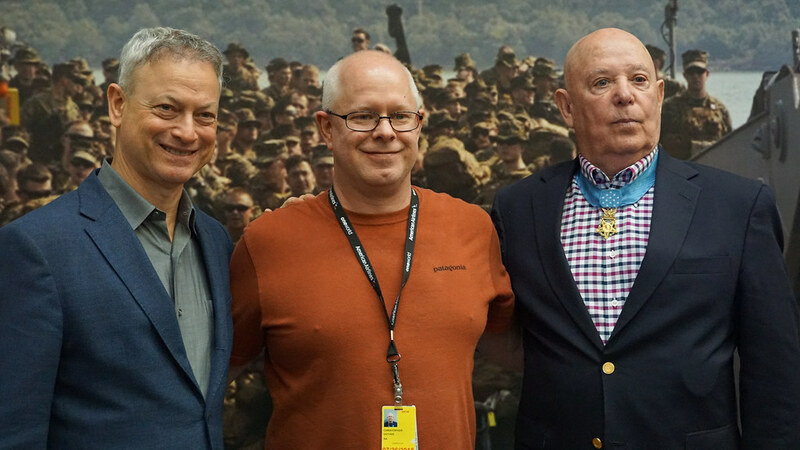 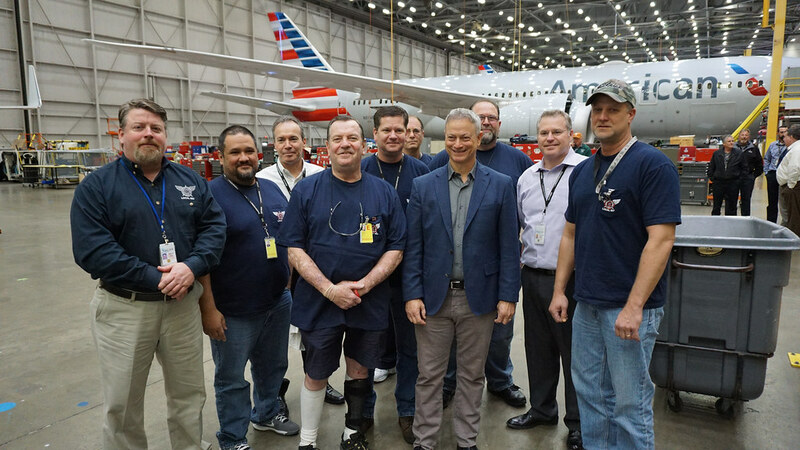 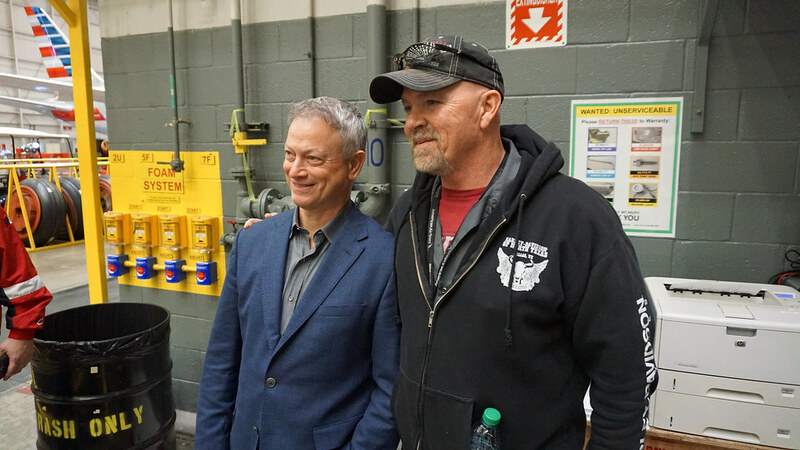 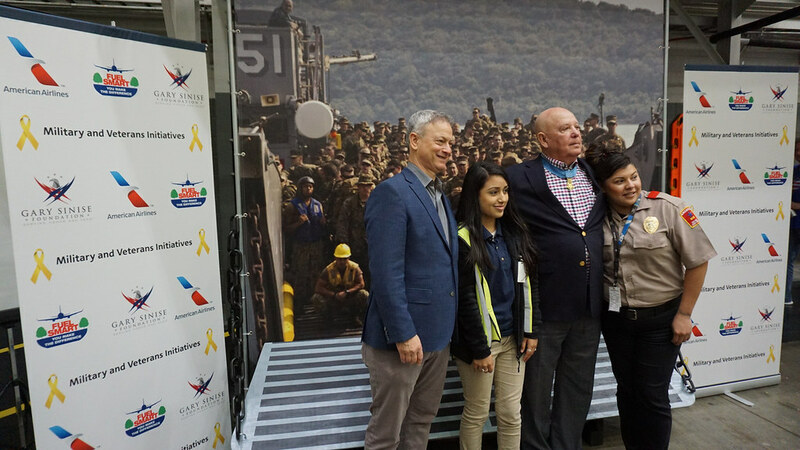 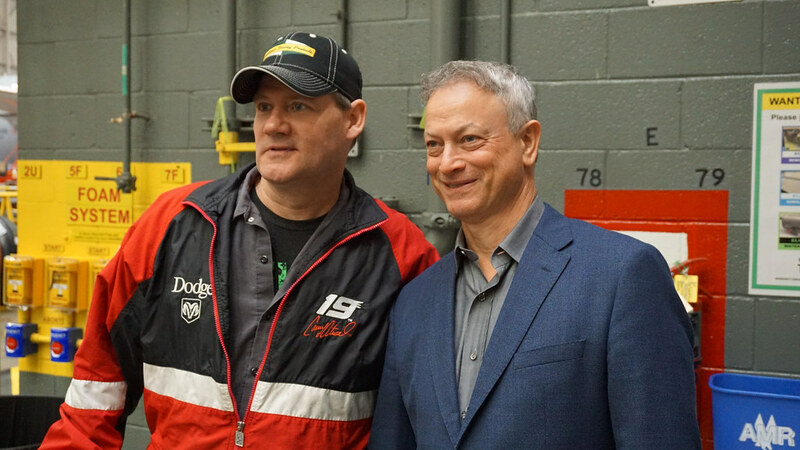 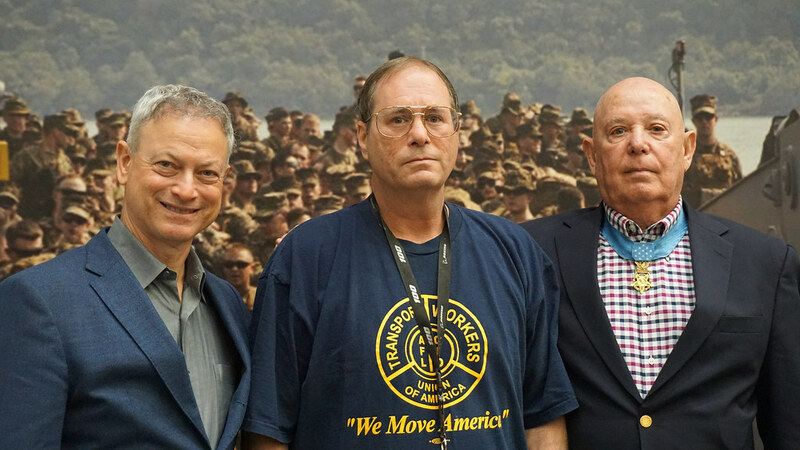 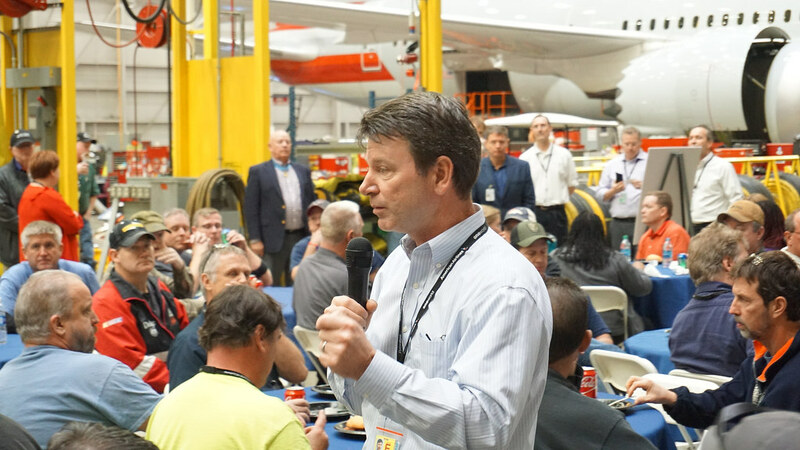 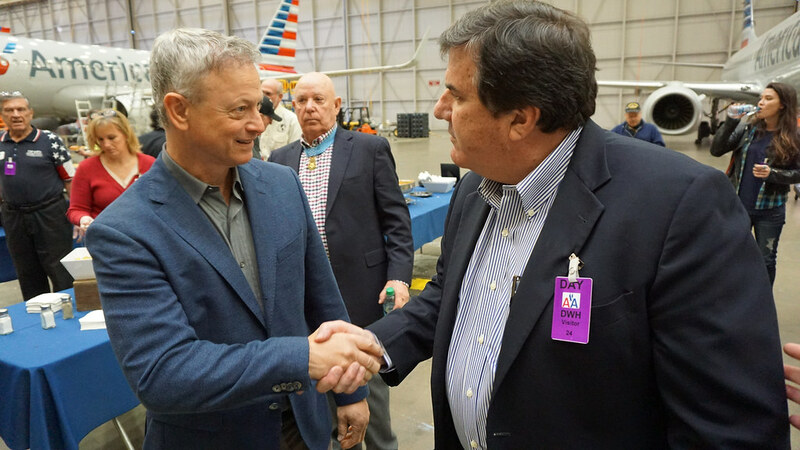 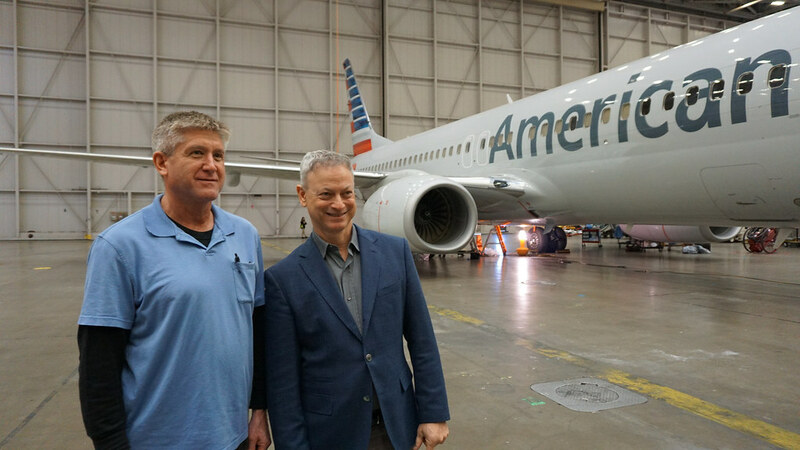 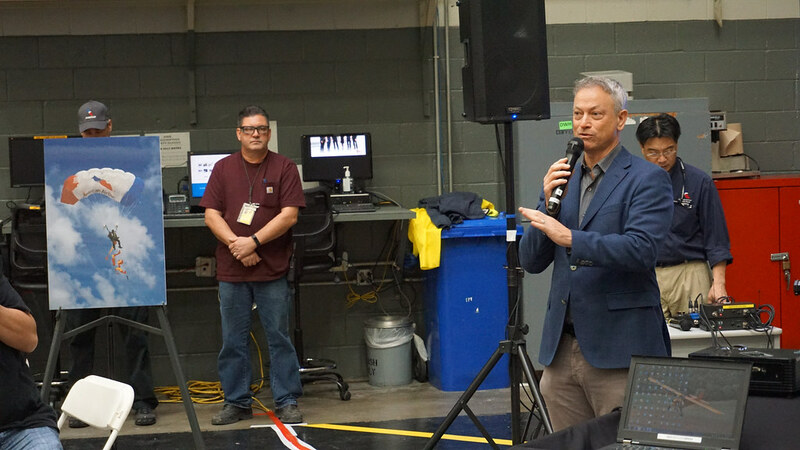 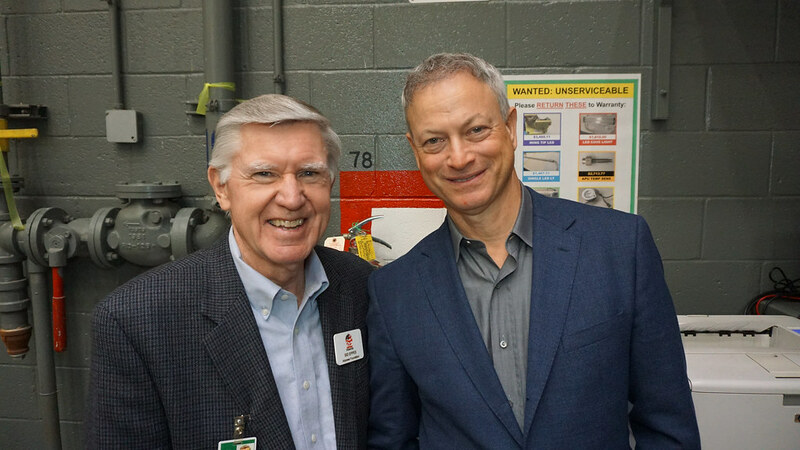 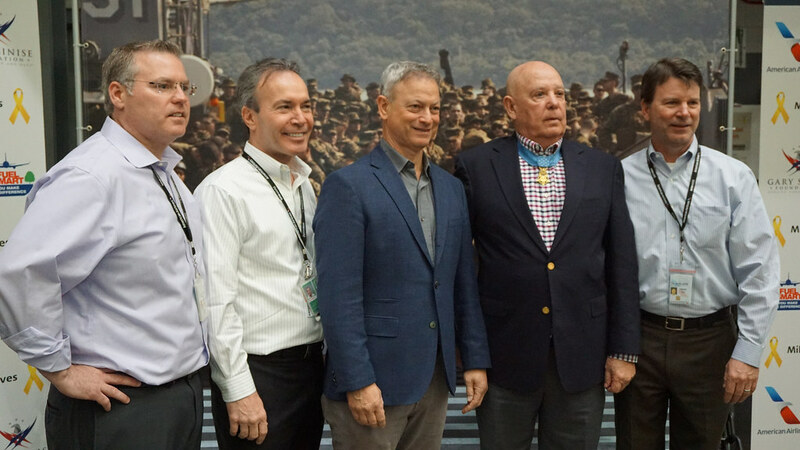 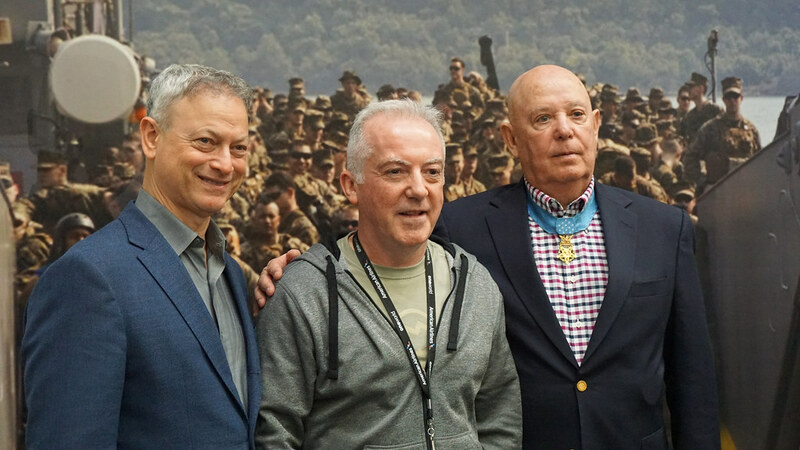 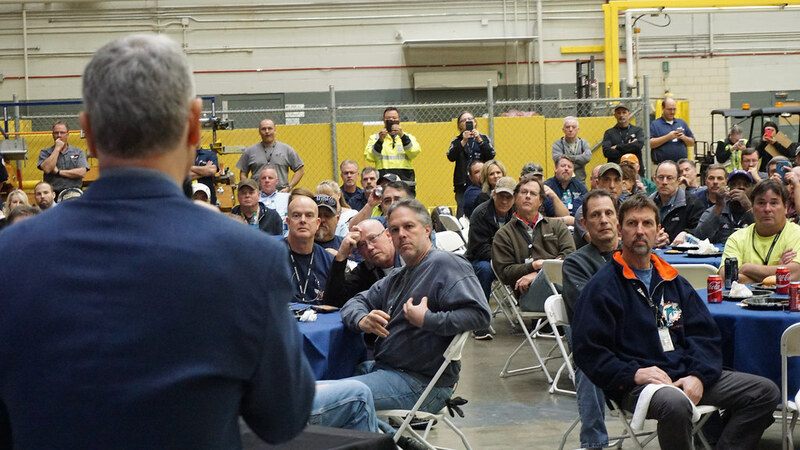 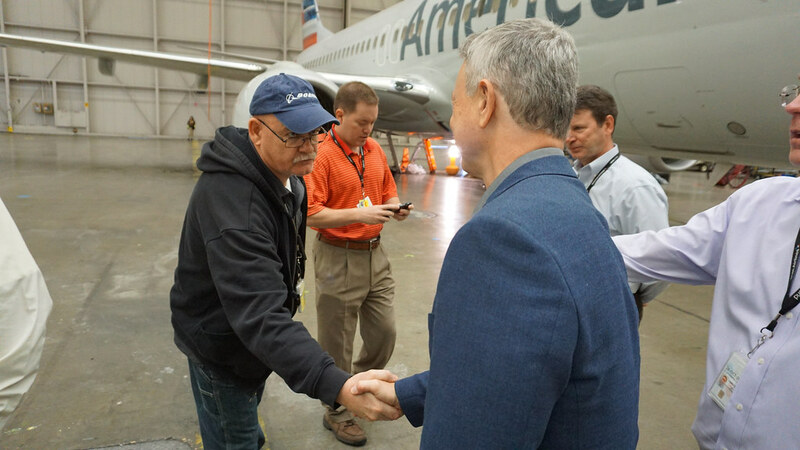 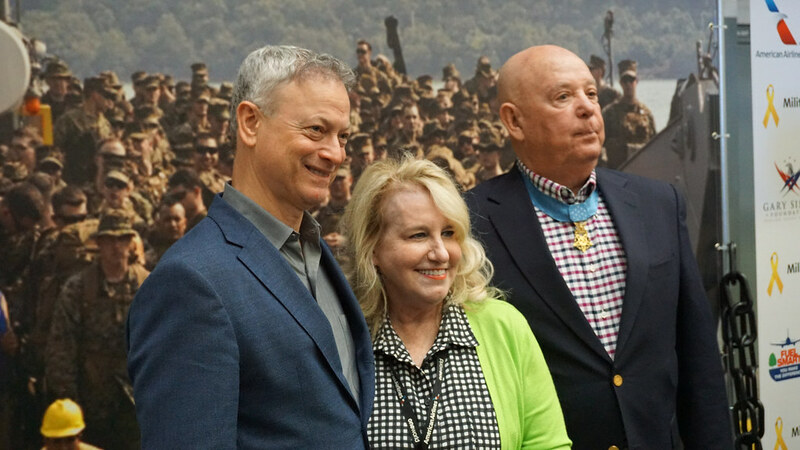 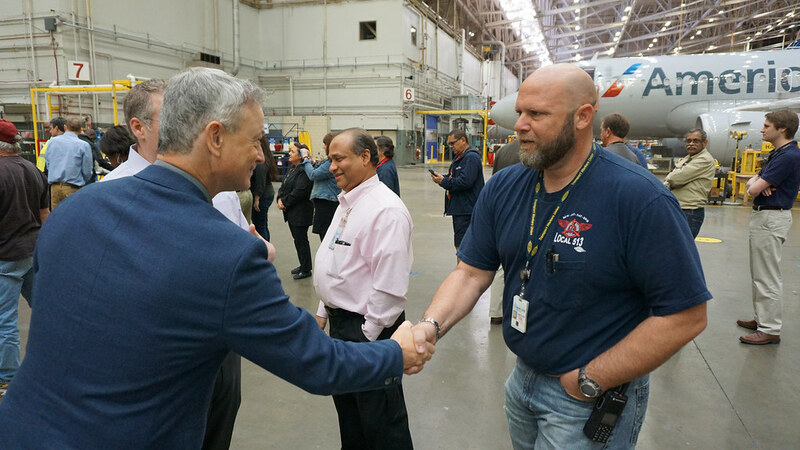 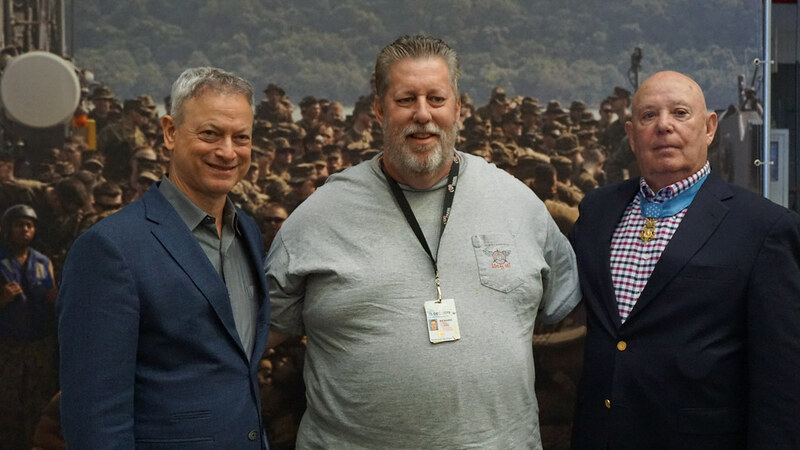 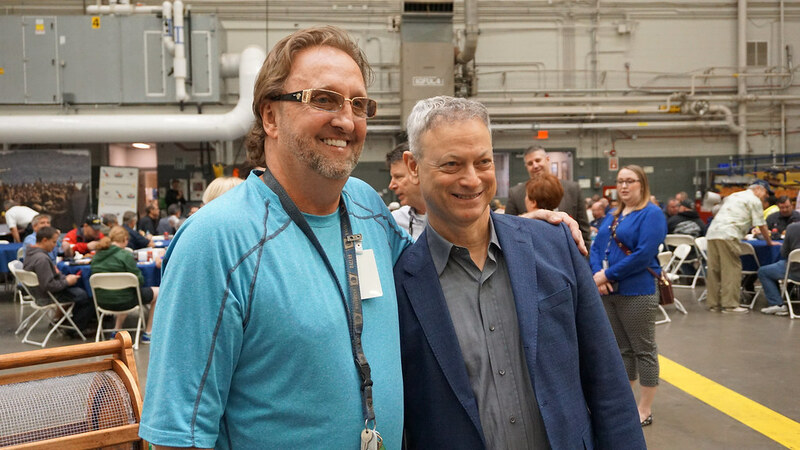 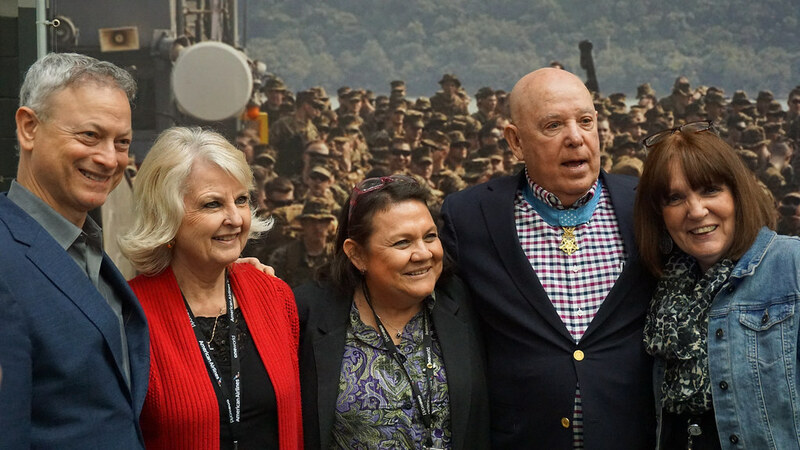 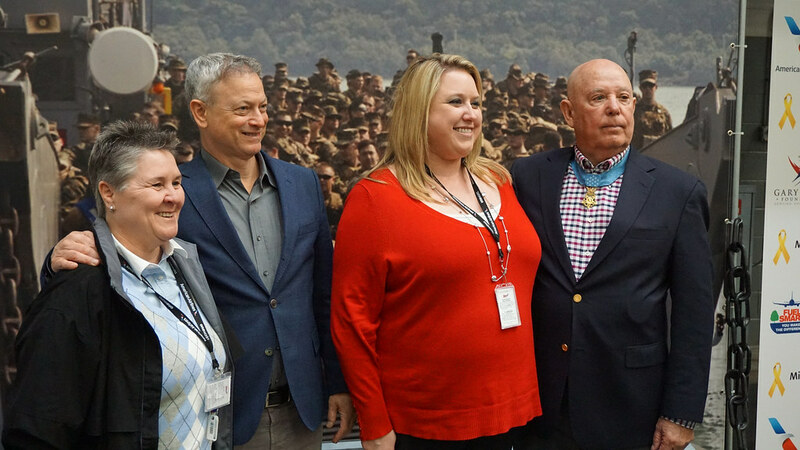 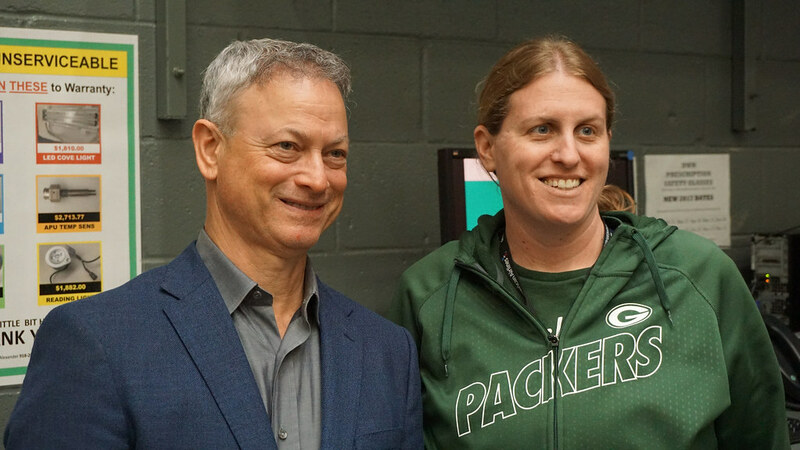 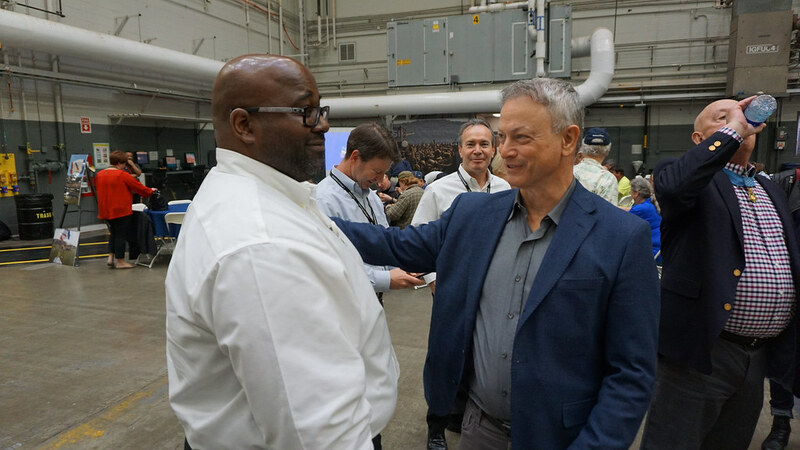 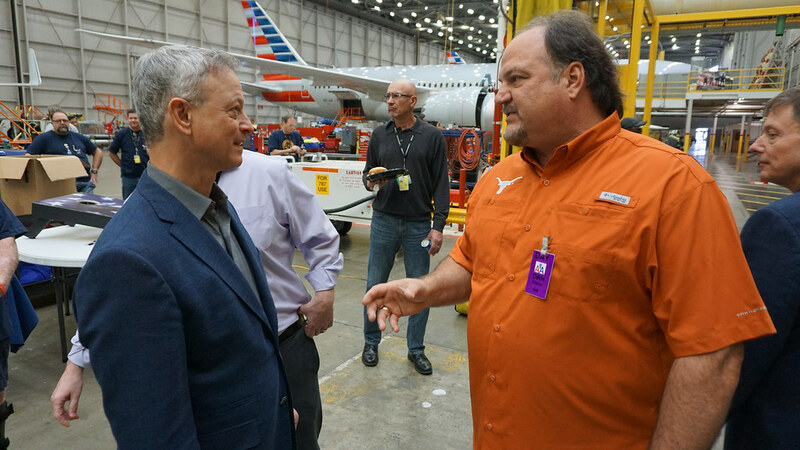 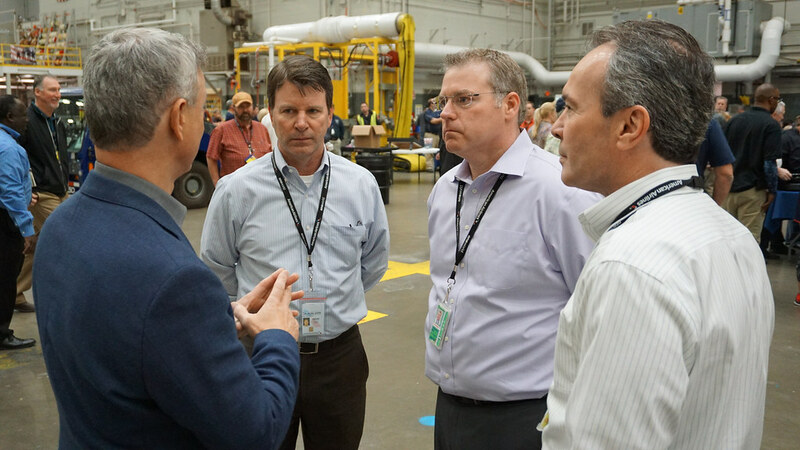 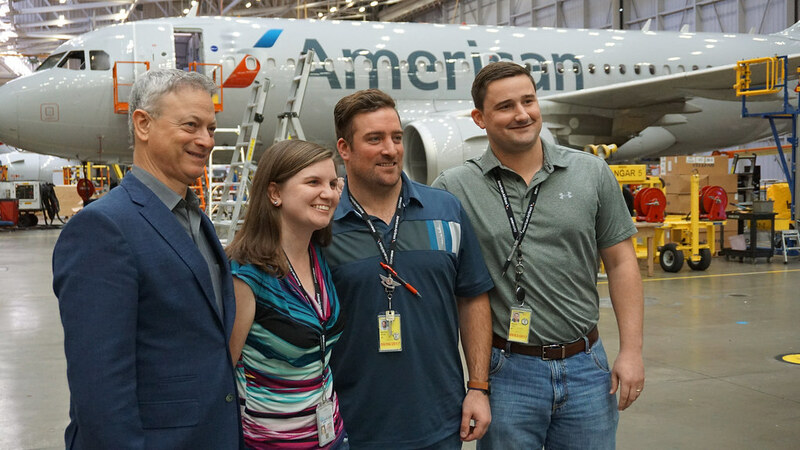 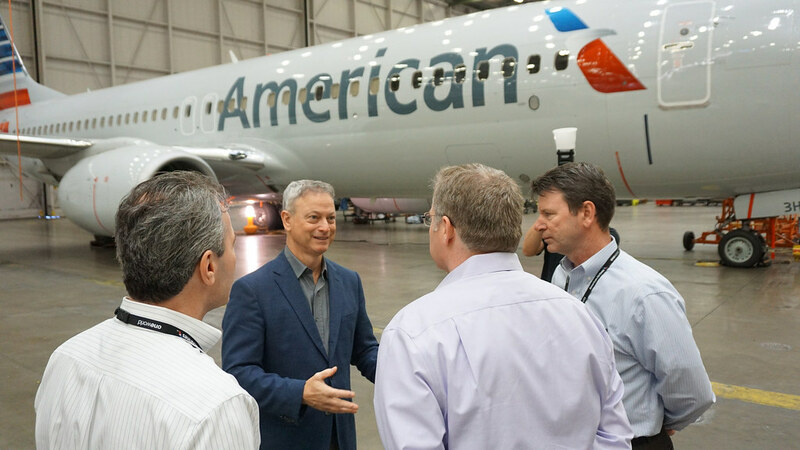 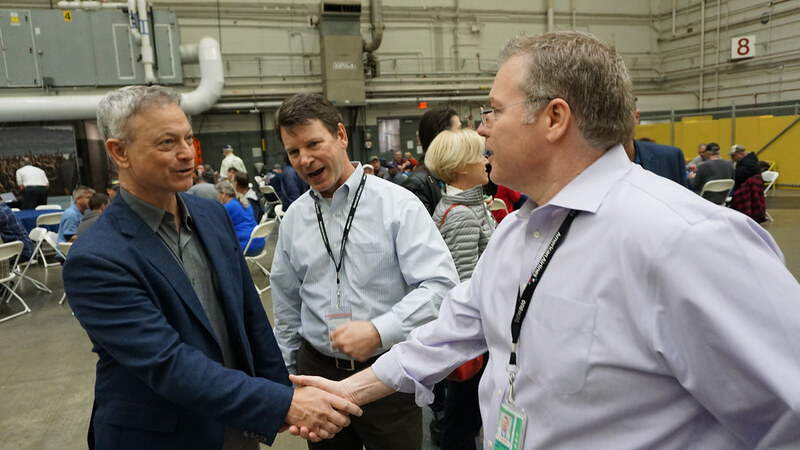 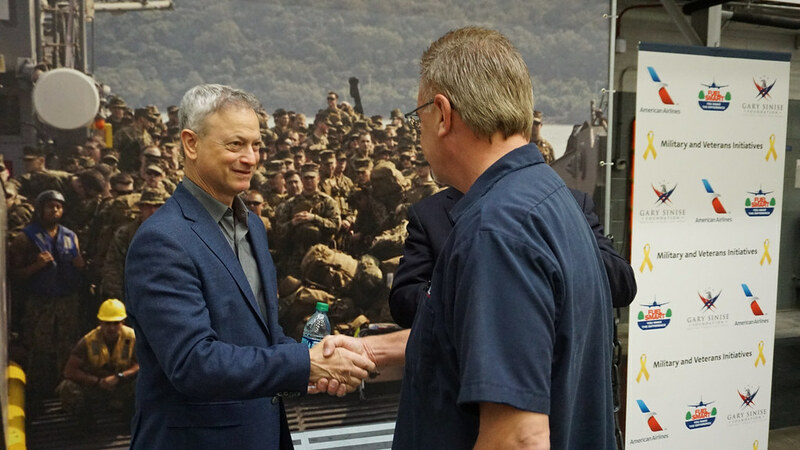 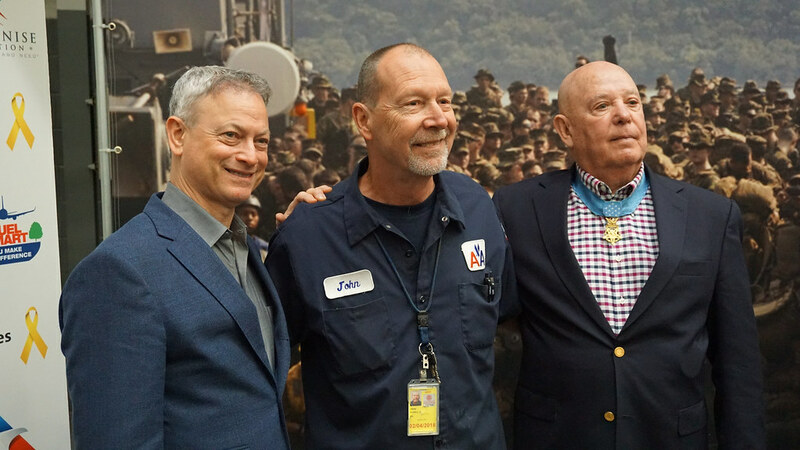 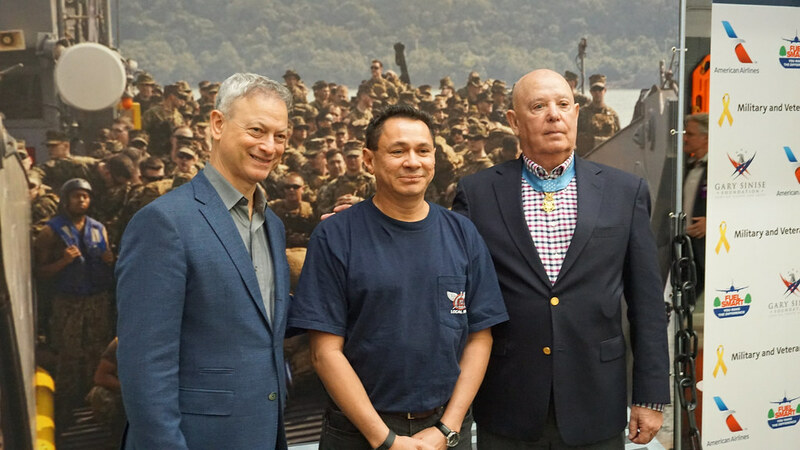 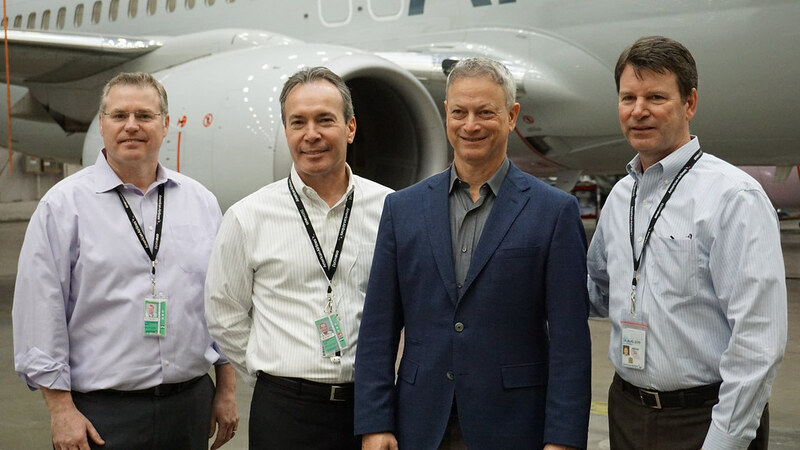 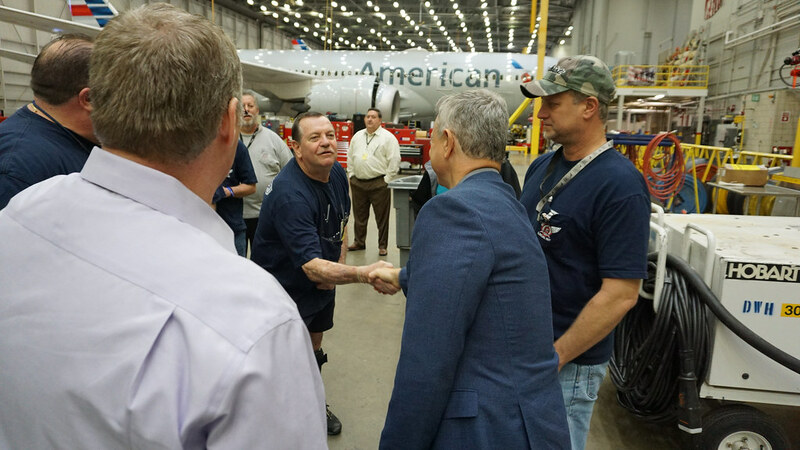 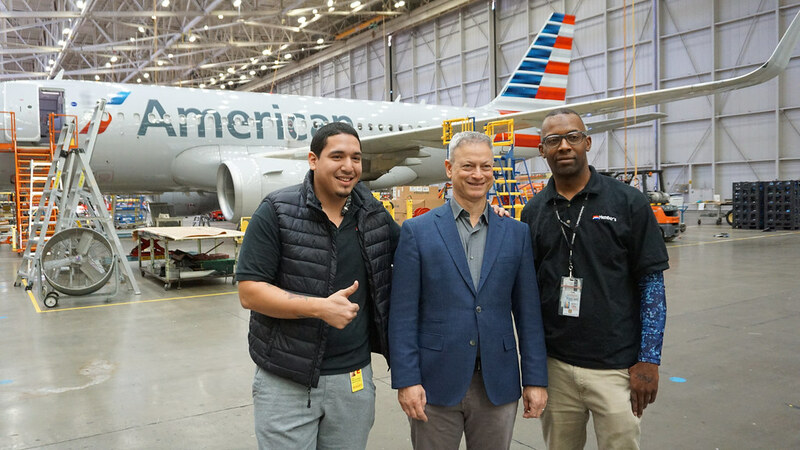 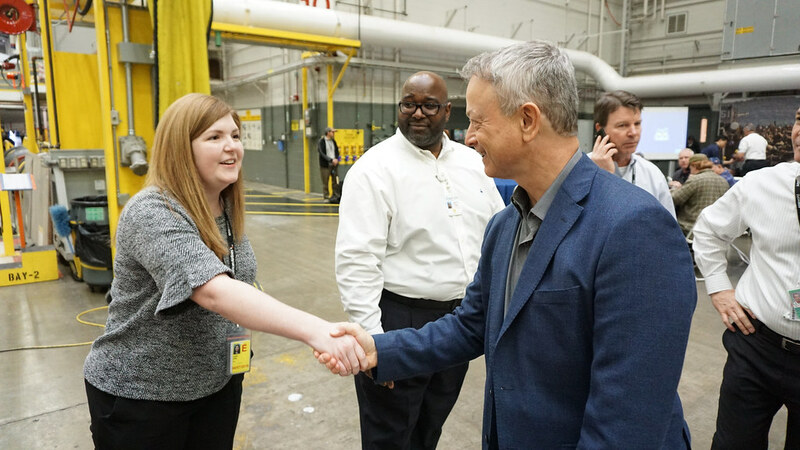 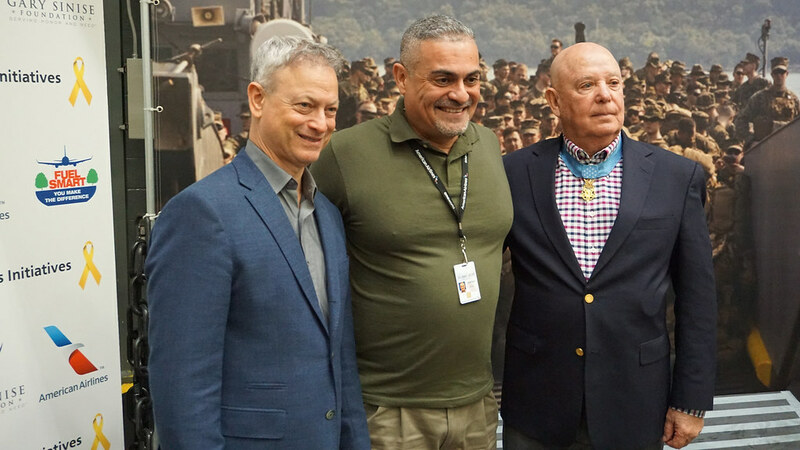 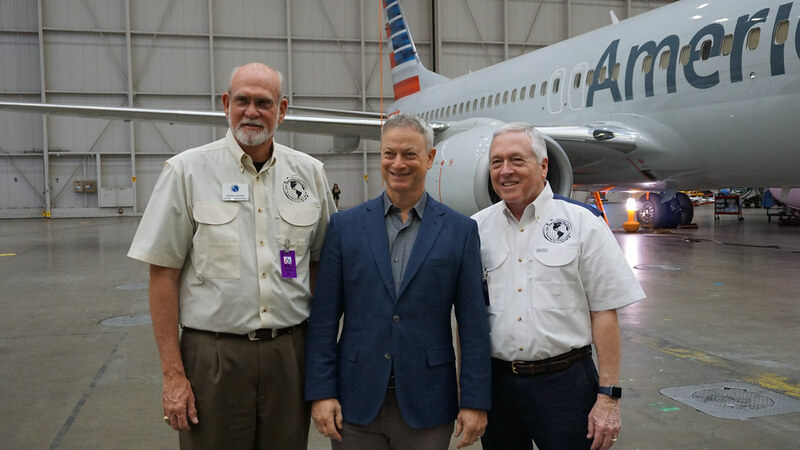 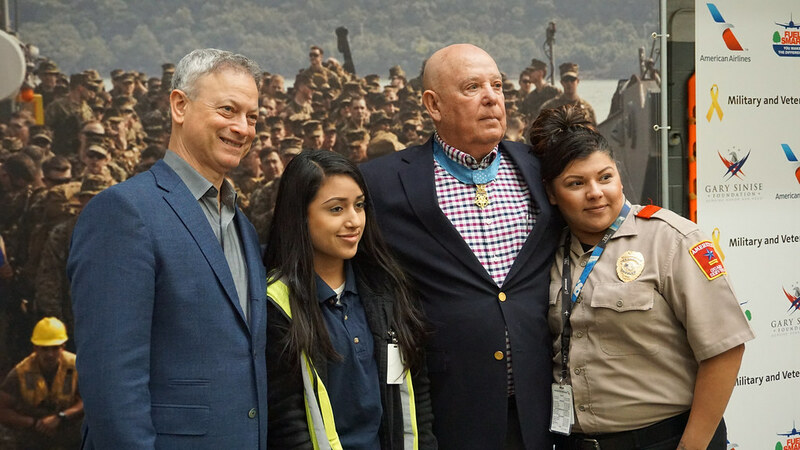 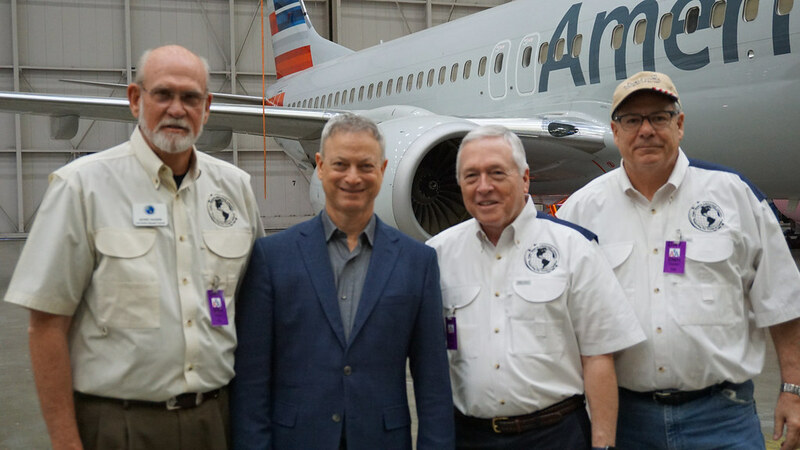 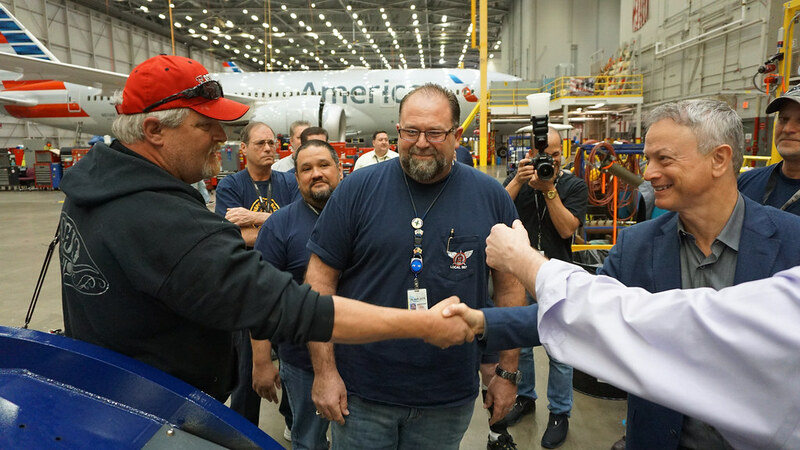 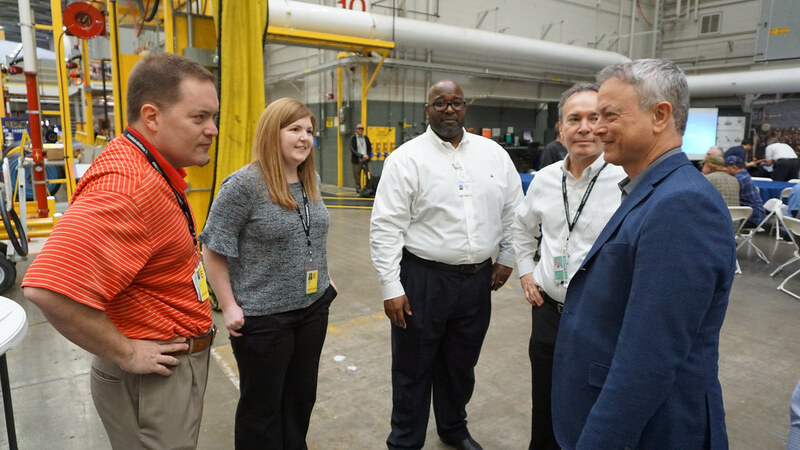 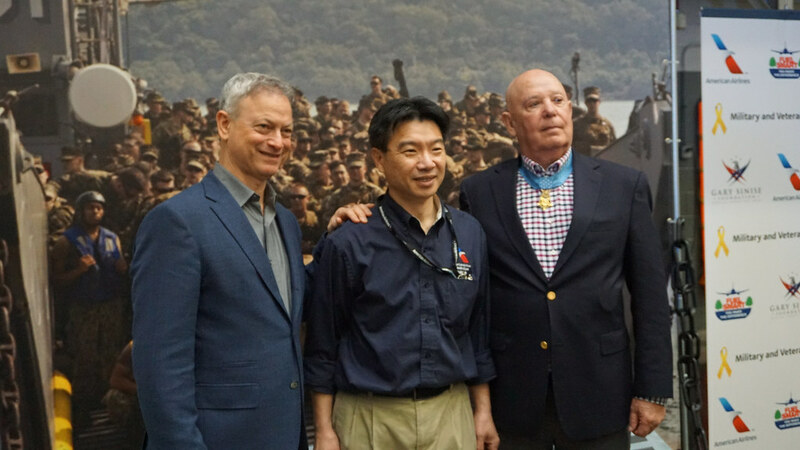 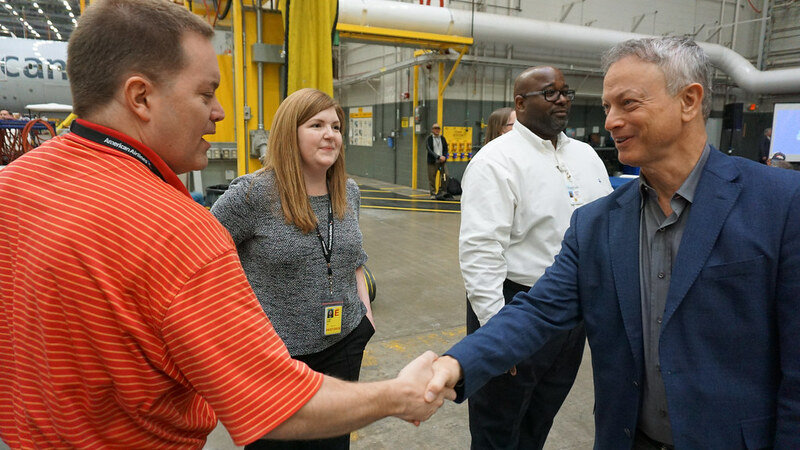 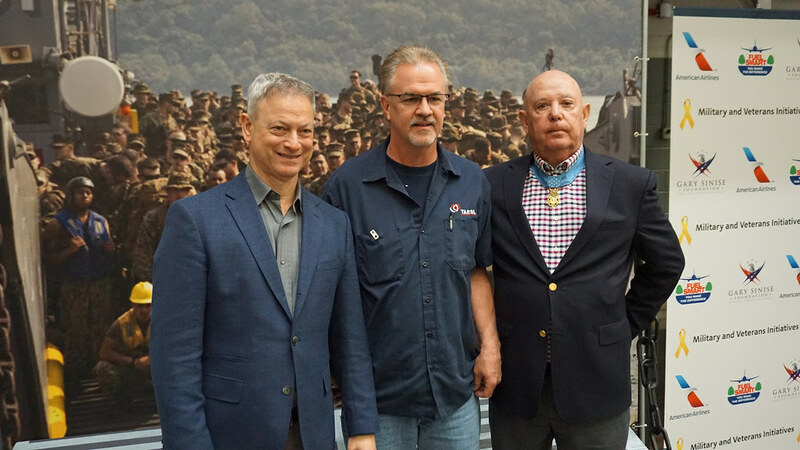 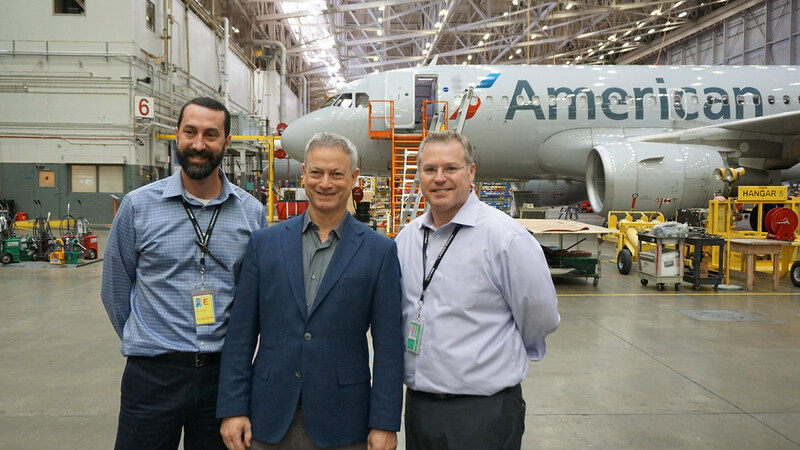 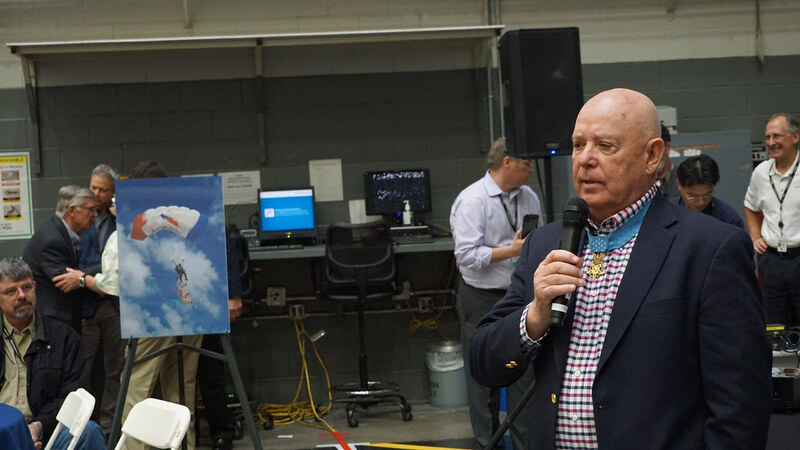 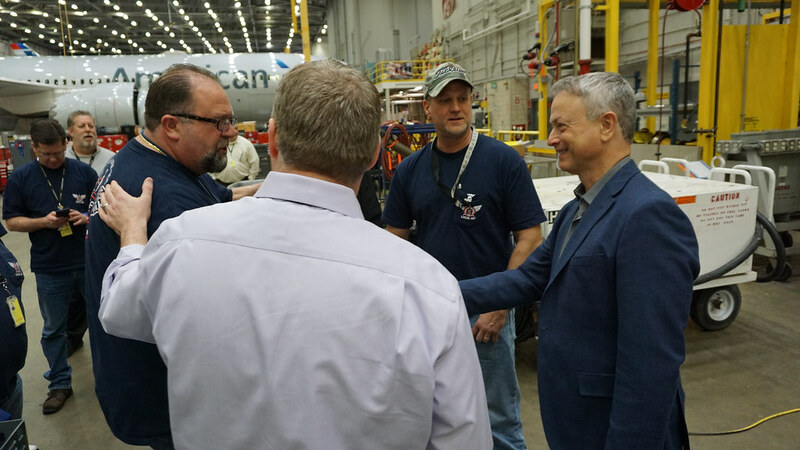 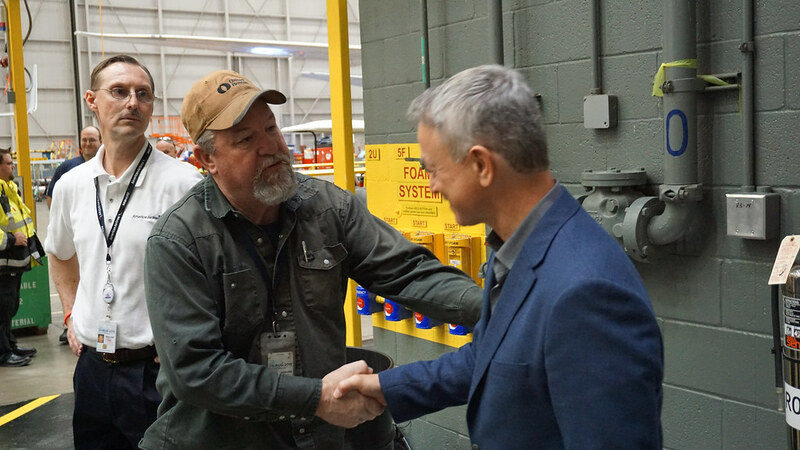 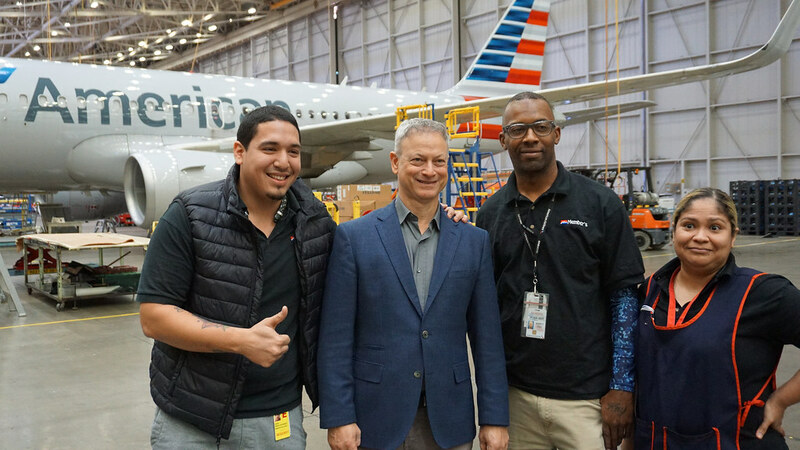 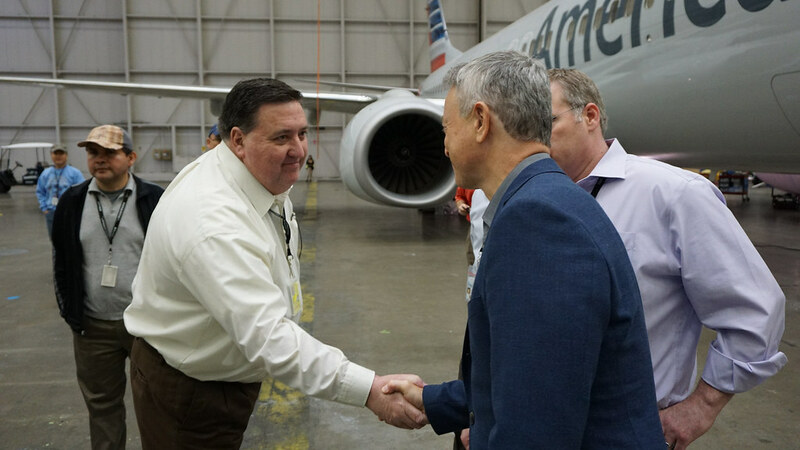 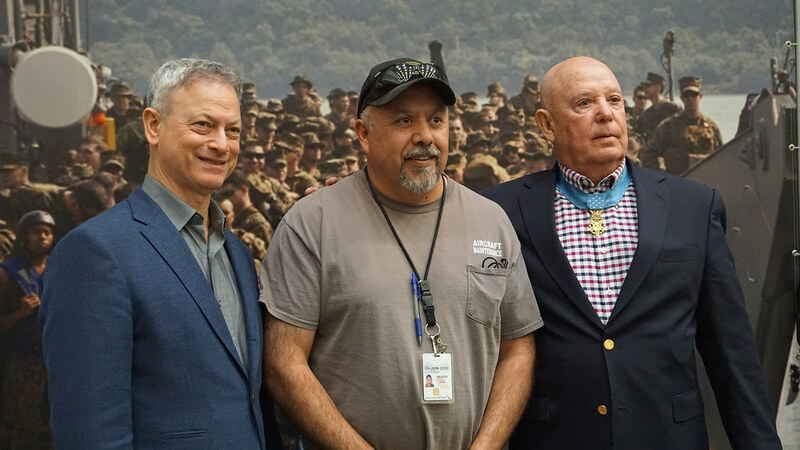 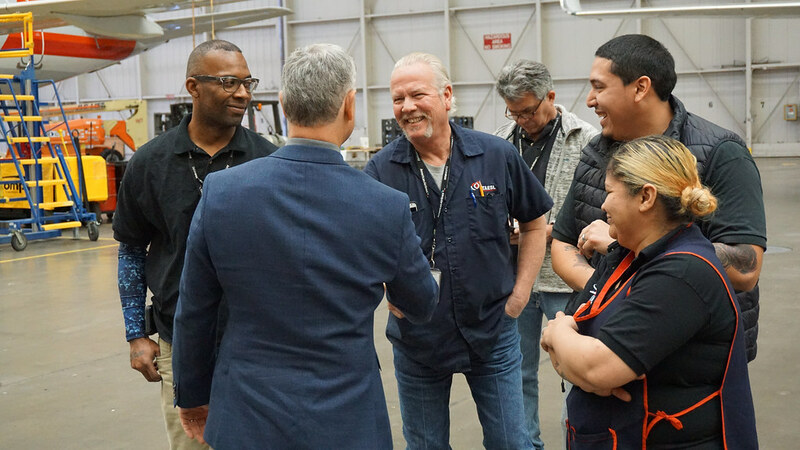 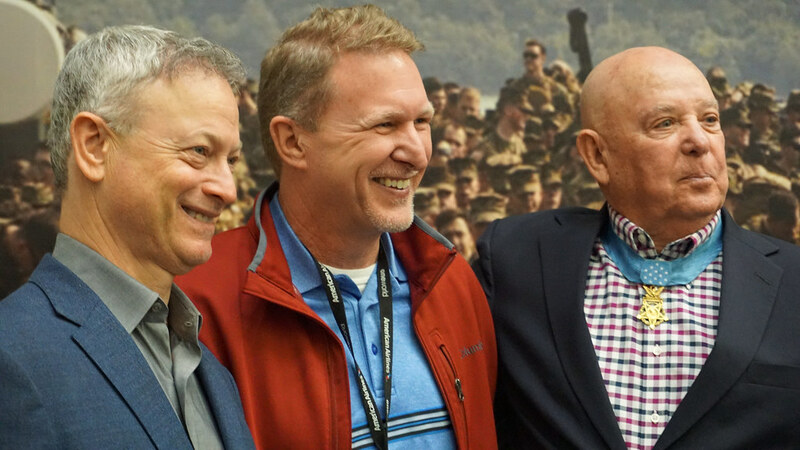 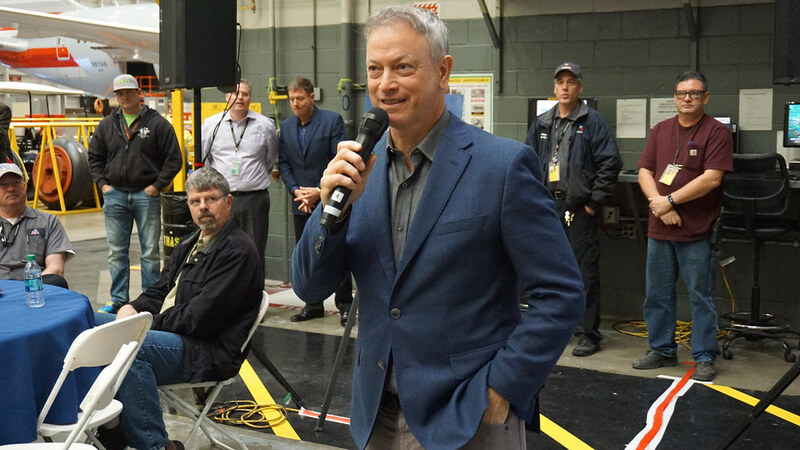 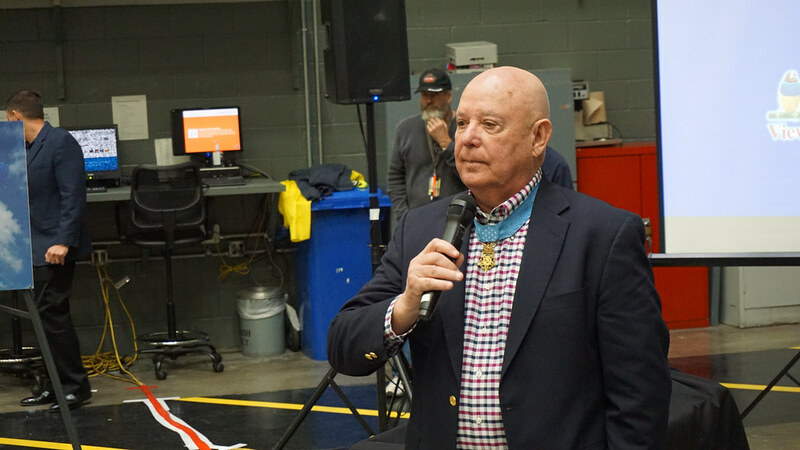 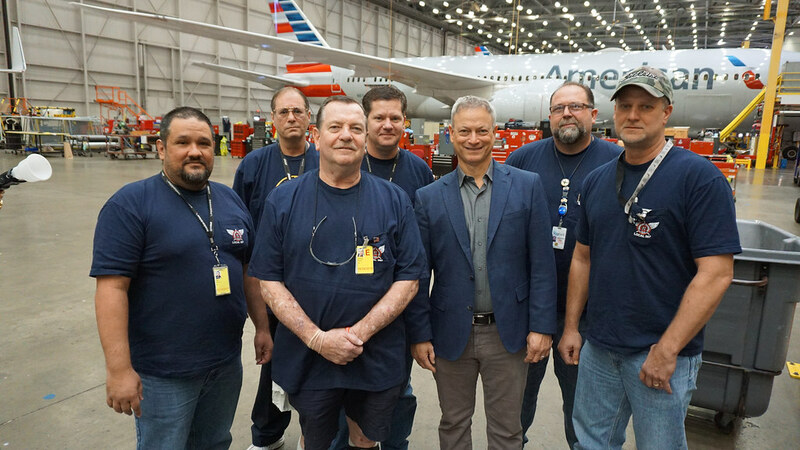 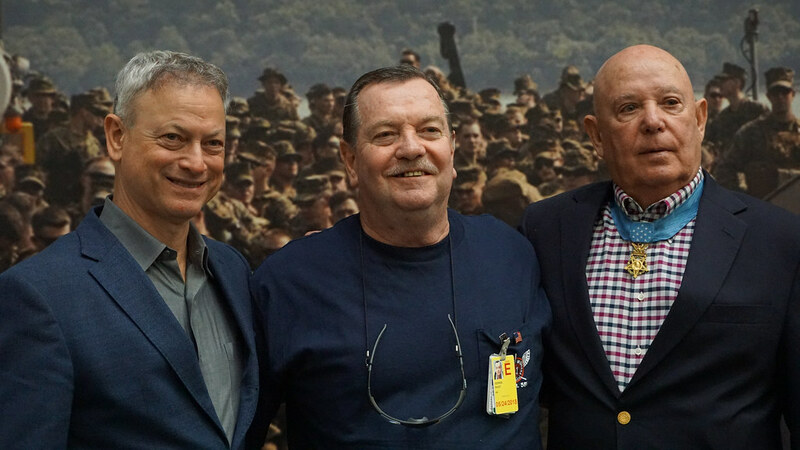 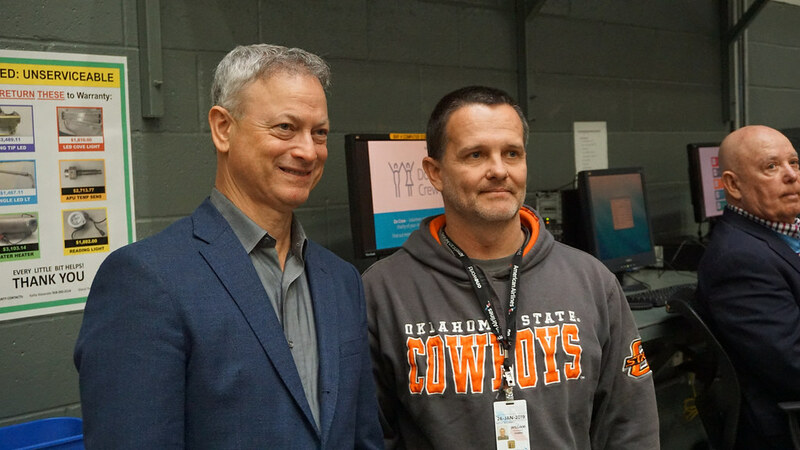 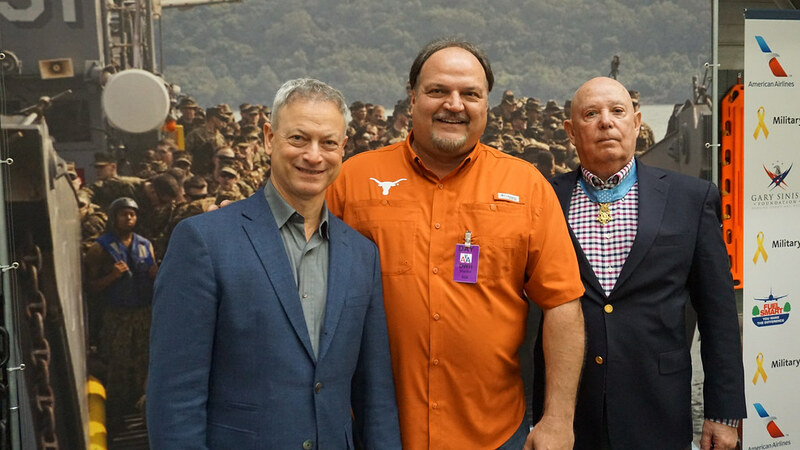 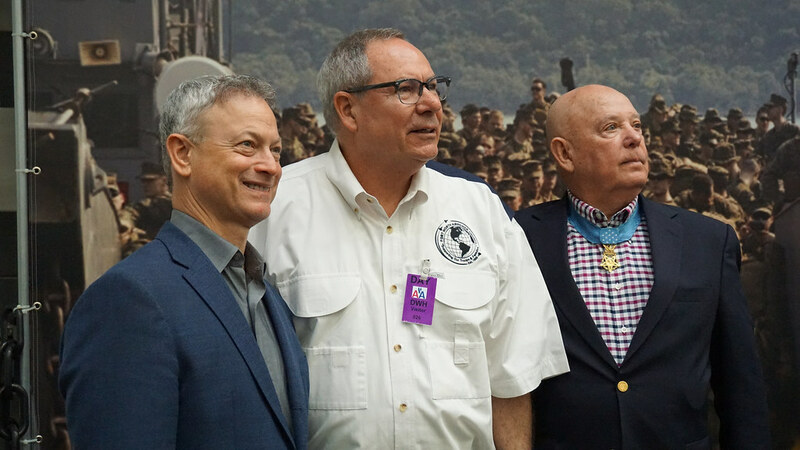 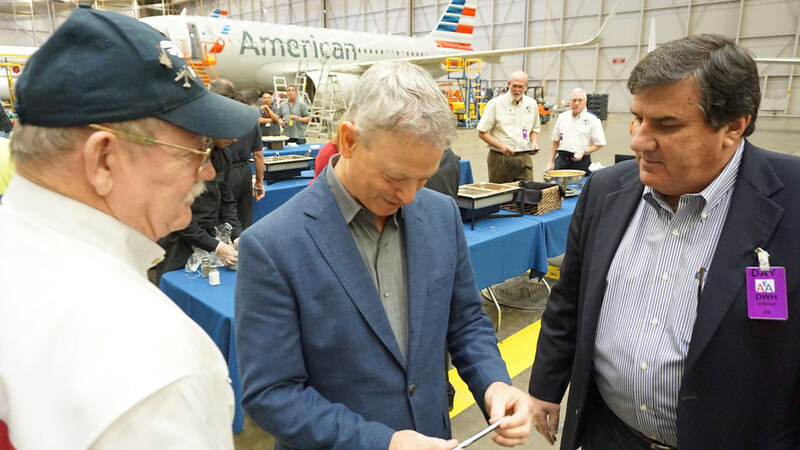 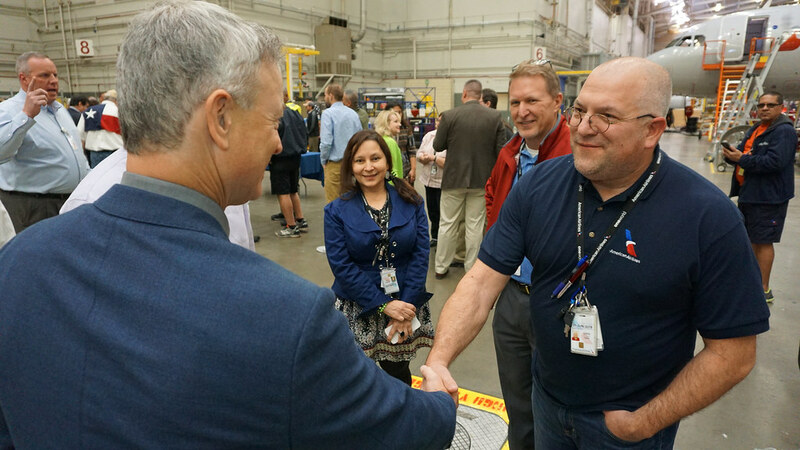 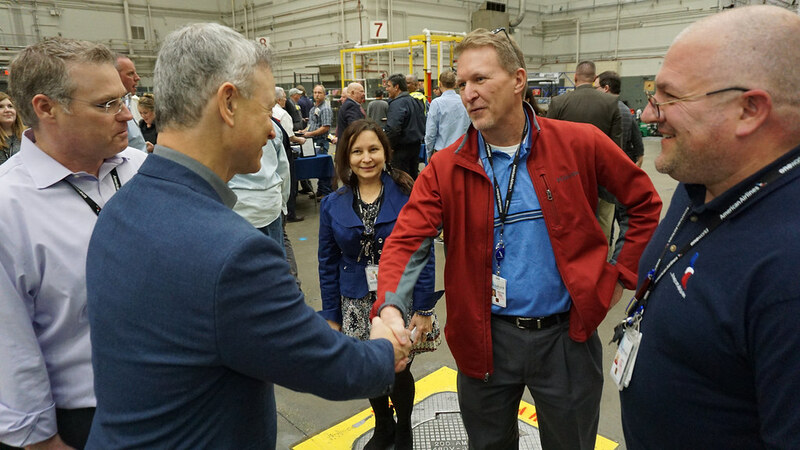 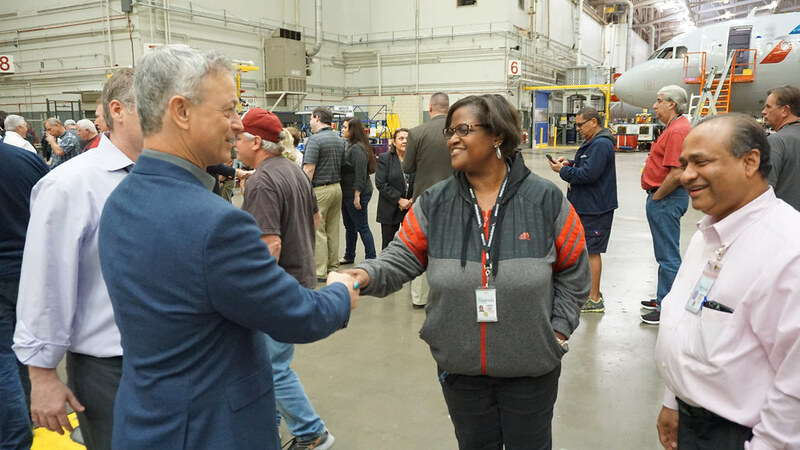 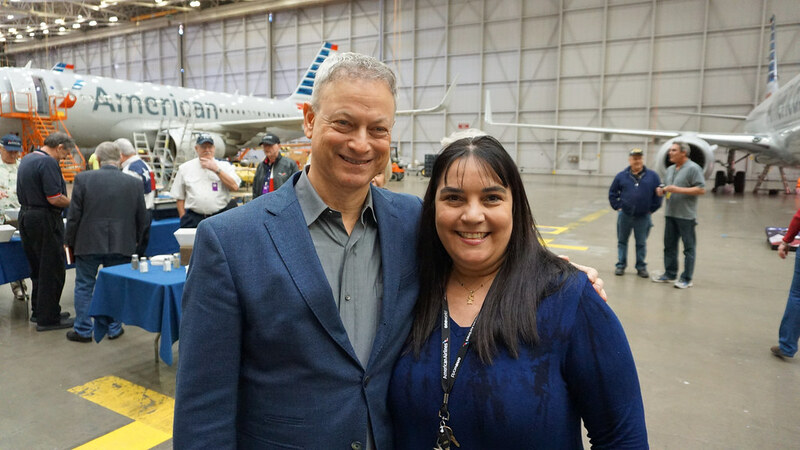 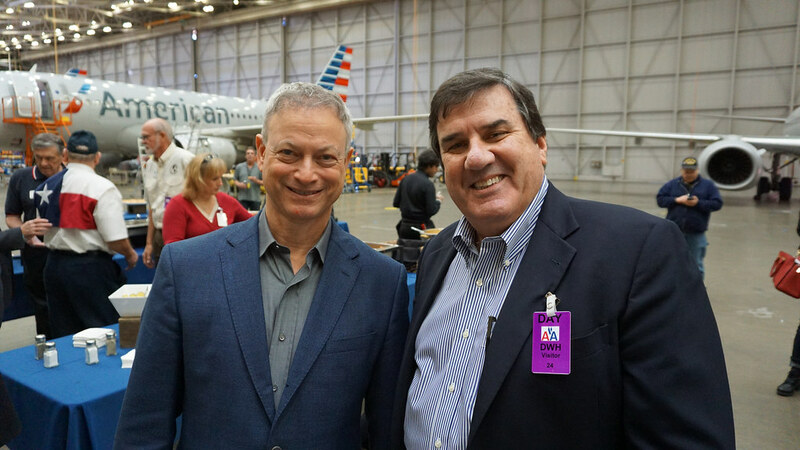 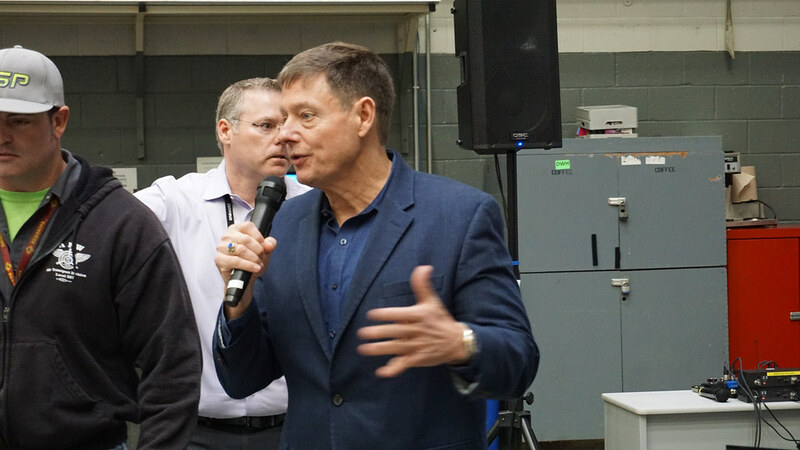 We were also honored to have Medal of Honor recipient, Gary Littrell, and Gary Sinise join us during the first shift to personally thank the employees as well. 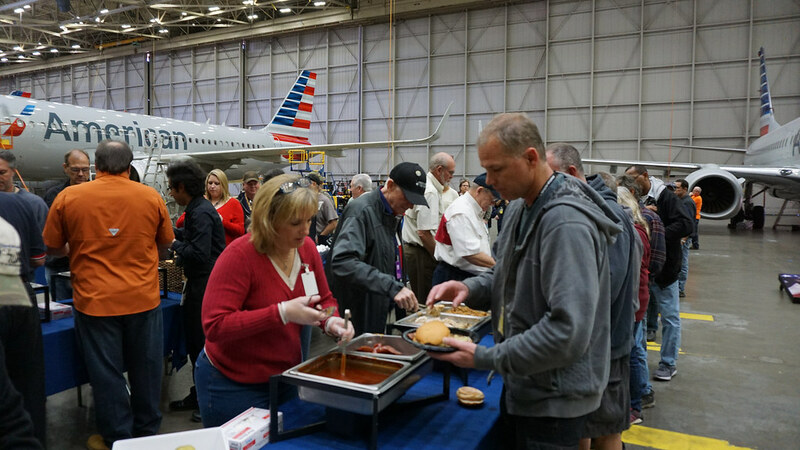 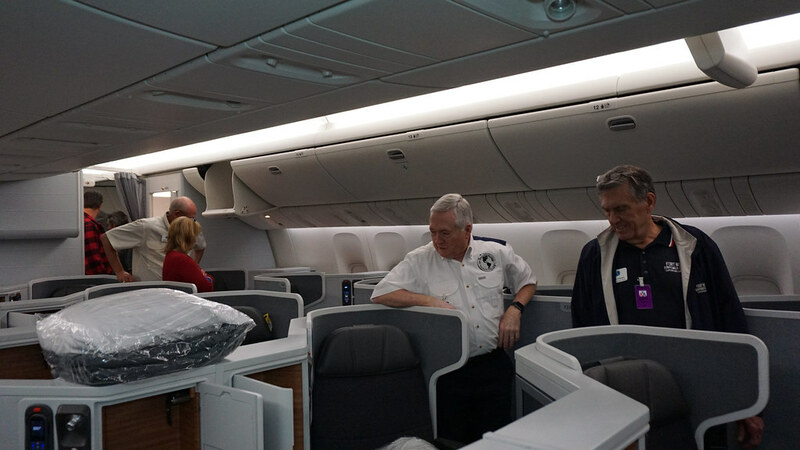 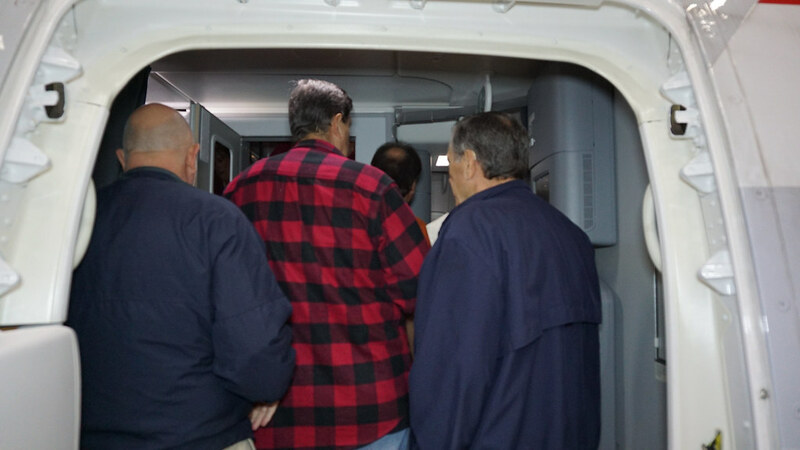 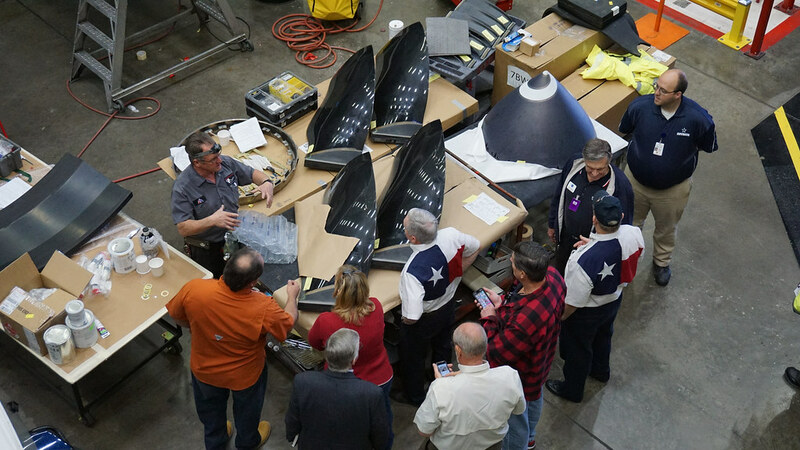 The food was served by members of the Airpower Foundation and the Fort Worth Airpower Council.